Below is the list of CivicSpark projects for the 2018-19 service year. Projects with a leaf symbol () are Climate projects; those with a water drop symbol () are Water projects, and those with a globe symbol () are Opportunity Access projects. Each project section includes the name of the public agency with which Fellows in that project would be working with, the city Fellows would be in, the number of Fellows that will be serving in the project, and the focus area of the project. To view a full description of the project, click on the “Project Description” under the projects you are interested in. The Humboldt County Planning and Building Department conducts long range land use planning for the County and reviews and approves land use planning projects and building construction permits consistent with adopted plans. The Department is divided into Long Range Planning, which manages the preparation of the General Plan, Coastal and community planning, and updates to the County zoning and other development regulations to be consistent with the General Plan; Current Planning, which carries out planning project review; and Building Inspection, which permits and inspects building construction projects. In October 2017, the Board of Supervisors approved a comprehensive update to the Humboldt County General Plan, a 20-year blueprint for the county, that includes a program to develop and implement a Climate Action Plan (CAP) which will mitigate the greenhouse gas emissions (GHG) attributable to the General Plan consistent with the requirements of state law. The County will also update the development regulations to reflect the adopted countywide CAP. The Department’s Long Range Planning group is seeking assistance from a Fellow to research best practices in CAP preparation, review and update as necessary GHG emissions inventories, evaluate policies and standards contained in the newly adopted General Plan for their effectiveness to reduce GHG emissions and propose new GHG emissions reduction measures as necessary. In addition, the Fellow would be asked to conduct public outreach for the CAP, including public meetings. The ideal Fellow would be interested in the relationship between land use planning and energy use, and possesses broad knowledge of climate change policy at the state and local levels, computer skills to model feasible GHG reduction measures, communicates effectively verbally and in writing, and is comfortable speaking in front of groups to convey project details in an understanding manner. The Redwood Coast Energy Authority (RCEA) is a local-government joint powers authority formed in 2003 to develop and implement sustainable energy initiatives that reduce energy demand, increase energy efficiency, and advance the use of clean, efficient and renewable resources available in the region. RCEA was created as a model to develop and coordinate rural, regional energy efforts, and to overcome economy-of-scale barriers faced by the small jurisdictions such as those in Humboldt County. The latest development for RCEA is the launch of the Community Choice Energy (CCE) program that procures electricity for Humboldt County ratepayers. The CCE program allows RCEA to begin planning for the community to invest in local renewable energy sources, reduce our dependence on fossil fuels, and implement local energy programs for customers. RCEA also implements Demand Side Management programs that include but are not limited to: energy efficiency, conservation, and generation. The Fellow will have the opportunity to engage in supporting the development of the Public Agency Solar Program Pilot by increasing staff understanding of utility rates structures, customer billing options, and community needs and desires to inform staff how to better design programs and electric rates that benefit the community and reduce overall energy consumption. The Fellow will also be involved in the Community Choice Energy Analysis. The Fellow will increase staff understanding of solar site feasibility at member agencies in RCEA’s jurisdiction to inform the program development of a similar program on a larger scale in the region. The Fellow will identify and map communities that have been underserved by energy programs to enable RCEA to more effectively target customer programs to these populations and also research and develop a Budget Billing program to mirror the program offered by PG&E to their delivery portion of customers’ bills. The ideal Fellow will have strong data analysis and research skills along with an ability to understand and communicate common goals to move projects forward efficiently and effectively. The Fellow will be forging new territory with many project tasks and should be comfortable researching topics with guidance from staff who are not wholly familiar with the outcomes. Strong interpersonal skills and professional communication, both written and oral, are key in engaging with project partners and stakeholders to perform tasks. A Fellow who can meet with supervisors and then perform tasks independently will be successful in this role. An intermediate to advanced knowledge of Microsoft Excel software is desired; familiarity with ArcMap software, Solar Pathfinder software and Python coding is a plus. The Nevada Irrigation District is a water resource management Special District supplying residents and farmers in Nevada, Placer and Yuba Counties, and in northeastern California. The district is organized primarily to supply water for irrigation, municipal, domestic and industrial purposes within its 287,000 acre boundary. The district collects water from the mountain tops of the Sierra Nevada, and utilizes nine reservoirs, seven water treatment plants, seven hydropower facilities, and 425 miles of canals as the water travels through storage and distribution to residents of the region. The Nevada Irrigation District seeks Fellows to support priority, special projects that are part of the district’s watershed stewardship, forest management, education and outreach, and clean energy production goals. The Fellows will help the district improve its practices and operations as they develop and advance their programs in response to regional trends and climate change, water resource needs, and future challenges. The ideal Fellows will be familiar with environmental, natural resource management, and watershed science concepts, as well as with water resource planning, computer operation and standard use of software, strong organizational and tracking skills, and some project management experience is preferred. The Sierra Business Council is the manager of the the Gold Country Broadband Consortium (GCBC). The goal of the GCBC is to increase access to broadband for rural communities to a minimum of 98% of homes, businesses and agencies. This increased capacity will ensure that residents have adequate broadband service to build resilience in preparation for emergency situations, conduct business in the home, participate in online education opportunities and take advantage of tele-medicine services. Currently, the five counties in the consortium have multiple communities that are unserved. The Fellow will work with project staff to prove the business case for connection through fixed wireline or wireless technology and assist in community outreach efforts within the communities. The Fellow will work with the the GCBC project team to identify feasible solutions for “unserved” and “underserved” communities within the beneficiary counties as defined by the California Public Utilities Commission and assist with implementation. The Fellow dedicated to broadband will help build new capacity for the program by increasing “boots on the ground”, deepening impact in speed test data collection and analytics, task force leadership, program outreach and solutions development. The Fellow’s role will include researching best practices and new technologies applicable to remote, geographically challenging regions. Perform feasibility analysis of project plans. Update the regional broadband implementation plan. Present to community groups and civic leaders on proposed projects. The most important traits/skills Sierra Business Council is looking for in a Fellow is a positive attitude, willingness to learn and ability to work in a team. This is a dynamic and fast changing area requiring flexibility and problem solving skills. Placer County, similar to the rest of California, has a shortage of housing. Especially for low to middle income residents. The Placer County Board of Supervisors has prioritized the development of an inclusive and all-around approach to addressing the County’s affordable housing needs. Legislation enacted in 2017 (SB 2) established a new ongoing funding source available to local governments for a variety of affordable housing program activities, which will benefit many disadvantaged and other communities. Implementing SB2 will involve considering alternative methods of administration and allocation of these new funds, how allocation methodology can leverage existing affordable housing resources, and how permit streamlining will accelerate housing production and preservation. In order for local governments to effectively utilize and apply these funds a strong program design tailored to the experiences, practices, and preferences of local governments is needed. The Fellow will work with Placer County and State Department of Housing and Community Development (HCD), on research, outreach and input for the guideline development process and a variety of other activities related to accelerating housing production on SB 2 Implementation. The Fellow will be coordinating activities with the SB2 project Fellows at HCD and in the Bay Area. The Fellow will spend most of their time in Placer County offices in Roseville, but will travel often to HCD offices in Sacramento. The Sierra Business Council (SBC) is seeking an enthusiastic and passionate individual to support SBC’s two climate change programs working with local governments and public agencies in the Sierra Nevada. SBC pioneers and demonstrates innovative approaches and solutions to increase community vitality, economic prosperity, environmental quality, and social fairness in the Sierra Nevada. Through SBC’s two climate change programs, Climate Planning and the Sierra Climate Adaptation and Mitigation Partnership (CAMP), the Fellow will have the opportunity to engage in the following activities: 1) Support the development, education/outreach, and implementation of regional resilience strategies, guidelines, and actions; 2) engage with Sierra leaders in government, business, academia and community groups to share best practices, identify critical needs, and strategies that benefit a broad range of local and downstream constituencies, and conduct research, education, and outreach around regional-specific local adaptation strategies towards climate change; 3) engage with other California climate collaborative organizations to build and strengthen connections within downstream cities that rely on rural resource areas, as a means of building a stronger collective voice for investment in community and resource resilience; 4) the opportunity to support Sierra jurisdictions in the implementation and advancement of their newly-established Energy/Climate Action Plans through the facilitation of working group meetings, coordination of outreach events, educational activities, and community trainings, assisting with tracking of current plan progress and Beacon Program reporting, among others tasks. The Fellow will also assist the City of Grass Valley with the development of their Energy Action Plan through researching existing codes/ordinances/general plans for energy efficiency, water efficiency, and renewable energy actions and opportunities; stakeholder engagement, community outreach, and education; and assist with the re-inventory of community and municipal operations GHG emissions. The ideal Fellow will have strong written and oral communication skills, and have some experience with both grassroots and grasstops community engagement. The Fellow will be co-leading webinars, conducting outreach, and presenting in front of groups, thus they must be strong written and oral communicators. Community outreach and coordinating with diverse sets of stakeholders is key to effective planning and implementation activities – a strong understanding of how to identify and communicate common goals, inspire the motivation to take action, and balance diverse perspectives is key to the success of these projects. The Fellow will also be detail – oriented, have strong interpersonal skills, and the ability to work independently. SBC is a fast-moving environment and a Fellow who can meet with supervisors and then perform the tasks independently will thrive. Experience with climate and energy policy, data analysis and technical report writing are a plus. Lake Tahoe has long been a leader in environmental protection, and as they move into the future, mobilizing their long history to face the challenges of climate change is critical. The Sierra Nevada Alliance and its many partners must act as one to implement climate change mitigation and adaptation practices to meet regional goals. This includes updating greenhouse gas (GHG) inventories and moving toward renewable energy goals. The Fellows would work across the region with multiple agencies to coordinate climate change actions and build capacity for each agency to implement solutions. This project will directly benefit several California agencies, both state and local, including the City of South Lake Tahoe, El Dorado County, Placer County, California State Parks, and the California Tahoe Conservancy. One deliverable will be an updated Regional GHG inventory that will help local jurisdictions track progress toward climate change goals. The Fellows would also work on 100% renewable energy goals set by the city of South Lake Tahoe. Capacity building for these agencies is critical since they lack staff with specific skills sets and understanding around climate change. The ideal Fellows would have the ability to work in a complex environment and have technical knowledge for GHG and renewable energy. Placer County is located in both the Sacramento Valley and Sierra Nevada regions, in what is known as the Gold Country. It stretches from the suburbs of Sacramento to Lake Tahoe and the Nevada border. The Placer County Planning Division is seeking a Fellow with an interest in long range planning and climate protection, to assist County staff with completing its first Sustainability Plan. The Fellow would assist with development of the Plan in close collaboration with staff, and gain a wide range of experience which may include: 1) Collecting and analyzing data for forecasting GHG emissions; 2) Researching feasible GHG mitigation strategies and mitigation benefits to support land use development review under CEQA; 3) Assisting staff in coordination with local municipal advisory councils and key stakeholders to develop and identify possible GHG mitigation strategies; 4) Assisting in implementation of a public outreach strategy; 5) Researching legislative requirements related to GHG emission reductions; 6) Providing climate protection policy recommendations; 7) Conducting research of emerging successful strategies in this relatively new field; 8) Assisting with development of an implementation strategy, including CEQA streamlining checklists; 9) Preparation of an Adaptation Plan; and 10) Assisting with workshops and public presentations. The Fellow may gain additional experience by utilizing various CAP resources including Cool California, ICLEI, and the California Natural Resources Agency documents, Implementation Action Plans and Climate Adaptation Planning Guide. The ideal Fellow will have broad knowledge of the current state climate change policies and a general understanding of GHG emission inventories, and computer skills to apply models for quantifying GHG mitigation strategies. Strong communication skills and outreach experience are also desired skills, as the Fellow would join staff to participate at public workshops and meetings to promote the Plan. Nestled amongst the Mayacama mountains of Northern California, Hidden Valley Lake Community Services District (HVLCSD) provides water and wastewater services to the rural community of Hidden Valley Lake. Groundwater wells under the influence of underflow from Putah Creek supply drinking water to less than 7500 residents and businesses. As a small agency, large projects to conserve and/or better manage water delivery can be challenging. Fellows would be serving on two separate but related programs: the Advanced Metering Infrastructure project (AMI), and the Geographical Information Systems (GIS) project. Fellows will help get the AMI project off the ground, with close monitoring of project timelines, and gathering of project metrics. HVLCSD customers will have the opportunity to monitor and take ownership of their own water use, and Fellows will help train them on these tools. Fellows will also have the opportunity to conduct community outreach to help train interested participants. The GIS platform does integrate into the AMI project, but also has improvement opportunities that far surpass the mapping of water meters. A geometric network is the first milestone towards a robust GIS platform, which a Fellow will help create! Tools to help field operations efficiently and resolve issues will need to be vetted, purchased, tested, and installed. These tools may include Collector, Survey 123, and Workforce. Training and quality assurance of internal staff will also be performed by the Fellows. The ideal Fellows will have an interest in ArcGIS, specifically, ArcGIS for Desktop, ArcGIS Pro, Collector for ArcGIS, Survey 123, and Workforce. They will also have an interest in organizing a project to conserve water, as well as have data collection and analysis skills. The City of Mt. Shasta is a small, rural community situated at the base of Mount Shasta and Headwaters of the Sacramento River. The City’s Planning and Public Works Departments are the leading departments for infrastructure projects, and they operate on minimal staff to provide first-class services like water, wastewater, and storm water. The City services pose unique challenges to the City due to the untreated nature of the City water and aging infrastructure. The community prides itself on clean air and water, which means the City must continue to meet state drinking water standards without the use of chemicals or additives. This presents an opportunity to use natural systems and new technology to maintain the water’s pristine quality. In addition to untreated water supply, the City has insufficient data on its water systems. The systems are known to have outdated piping materials and infiltration problems, although the location and extent of the issues are not known. The City is in need of assistance to map and catalog the systems to ensure improvements are made to the highest priority areas. The CivicSpark Water Fellows would map and catalog the status of the city’s water, wastewater, and storm water systems. Once the data is collected, the Fellows would assist the Planning and Public Works Departments to develop goals, policies, implementation measures, and capital improvement projects to be included in the City’s Water Resource Element. This would involve working with the public and outside agencies, like the Upper Sacramento Regional Watershed Action Group, Native Tribes, etc., to create collaborative solutions. The Fellows are encouraged to bring their interest areas related to infrastructure, water, wastewater, and storm water management into this project. The ideal Fellows would have skills in Geographic Information System (GIS), Microsoft Excel, STATA, SPSS or comparable database software; the ability and willingness to walk the city infrastructure for cataloging; have written and verbal communication skills, and a constant curiosity and willingness to explore new techniques and technology around water systems. Located on the west shore of Clear Lake, Lakeport is the oldest incorporated (1888) community in Lake County and provides a wide variety of services to its population of just over 5,100 residents. Known for its access to recreational water sports such as kayaking, boating, wakeboarding, and swimming, the City prides itself on protecting and maintaining its water supply for residents. Over the past two years, the region has experienced record-setting rainfall, and as a result, the City seeks the support of a Fellow to create greater resiliency around the City’s water management efforts. They seek the support of a Fellow to assist the City’s Public Works Division in its efforts to identify and mitigate Intrusion and Infiltration in its collection system. This critical project will support the City’s broader resiliency efforts around water management. The Fellow will also assist the City in its community engagement efforts specifically, educating residents and visitors on the wide array of initiatives the City has undergone to increase local sustainability and resiliency. The ideal Fellow would exhibit a willingness and ability to travel (driving and walking) to collect data via GIS mapping tools and engage local community members. Microsoft Office skills are needed to document and track project data and schedules. The California Governor’s Office of Emergency Services (Cal OES) is developing a comprehensive resource for innovative housing solutions that could be utilized to support housing needs following disasters. The Northern California wildfires in 2017 were among the deadliest and most destructive fires in California’s history. In total, the October fires destroyed 6,511 homes and damaged 643, leaving many displaced survivors in need of housing. The Federal Emergency Management Agency (FEMA) declared the incident a federal disaster and granted direct housing to support recovery efforts. FEMA and Cal OES utilized mostly traditional housing options including placing manufactured housing units (MHUs) and recreational vehicles (RVs) on commercially available spaces to house survivors. However, space was limited and MHUs and RVs are often intended to be only temporary in nature and are not appropriate for larger households and those with access and functional needs. MHUs and RVs also do not help communities build a stronger, more resilient future. Therefore, Cal OES would like to develop innovative housing solutions that deviate from the traditional disaster housing solutions and may potentially build long-term housing capacity. The Fellow will coordinate with affected and non-affected local counties, state and federal agencies (e.g. FEMA), non-governmental organizations, and academia to create a living database of innovative solutions so that in future disasters California can work with FEMA to place disaster survivors in novel housing solutions. The innovative housing solution will incorporate the following attributes to the highest extent possible: 1) Cost less than an MHU (~$70,000/unit); 2) Take less time to manufacture and install than an MHU (less than 3 months); 3) Allow for scalable production to meet the housing needs; 4) Be multi-hazard resistant to natural disasters; 5) Maximize energy efficiency and reduce harm to the environment; 6) Be viable for long-term occupancy; and 7) Be able to accommodate access and functional needs and/or large families. The innovative housing database and can also be utilized in non-federally declared disasters to enable counties to identify housing solutions that meet their specific needs. The ideal Fellow will have strong program management skills. They must be able to meet self-imposed deadlines, work in a highly collaborative environment as well as independently, and they must be resourceful in using tools to keep project elements organized and running smoothly. Research skills will be critical to ensuring that the Fellow can integrate themselves into the project quickly and conduct a thorough gap assessment with the county beneficiaries. The Department of Housing and Community Development (HCD) is a state agency whose mission is to “provide leadership, policies, and programs to preserve and expand safe and affordable housing opportunities and promote strong communities for all Californians.” HCD serves California’s housing and community development needs through a range of functions including research, planning and analysis of state housing issues review and certification of general plan housing elements, administration of loan and grant programs, developing state building codes, titling, registration and inspection of of mobilehomes and parks. HCD fellows will be assigned to one of three project areas: Planning for SB 2 Housing Implementation, Community Development Block Grant – Disaster Recover Mitigation Funding Implementation, and the Mobilehome Park Research Analysis Project. Across all three projects, desirable traits include ability to meet self-imposed deadlines, work in a highly collaborative environment as well as independently, and be resourceful in using tools to keep project elements organized and running smoothly. Fellows will have the opportunity to travel within the State for these projects. Fellows will work with HCD and partner local governments on research, outreach and input for the guideline development process and a variety of other activities related to accelerating housing production. The Fellows will be coordinating activities with the SB2 project Fellows in the Bay Area and Placer County. In 2017 54 of California’s 58 counties had a federal declaration of disaster from wildfire, flooding and mudslide damage. HCD will be administering $88 million in federal funding to address disasters in California. The guidelines for this funding are currently under development by the U.S Department of Housing and Urban Development (HUD) in partnership with the Federal Emergency Management Agency (FEMA). In order to support effective disaster mitigation at a local level, there are significant data and research needs required within disaster-impacted counties in Southern and Northern California. Fellows will assist with local hazard mitigation outreach, research of eligible needs of the local governments, and data collection and reporting to support long-term disaster recovery and resiliency efforts. This opportunity is suited for Fellows with interest in climate change, disaster recovery, resilience, and community engagement. Through the Mobilehome Parks Act HCD has oversight of mobilhomes and mobilehome parks including health and safety enforcement. Approximately 1.2 million California residents reside in manufactured homes, many of which are located in one of over 4,000 mobilehome parks throughout the state. This is a critical portion of California’s diminishing affordable housing stock. Much of this housing stock is aging and many of the residents are elderly, with high maintenance needs. There is need for more information available about this population, including housing satisfaction, preferences or the condition of the homes in which they reside. Using HCD data related to the location and condition of mobilehome parks, Fellows will have the opportunity to work with HCD staff to conduct targeted outreach and assistance to local governments with disadvantaged communities, by developing surveys related to demographics, housing conditions and housing preferences, including affordability and overcrowding, incidence of disadvantaged communities, proximity to climate adaptation hazards (e.g., flood, fire, sea level rise), resident housing preferences and satisfaction related to mobilehome living, access to services and environmental justice. Ultimately the goal is to provide assistance to local governments with disadvantaged communities for implementing planning requirements of local general plan updates with analysis of water, wastewater, stormwater drainage, and structural fire protection needs or deficiencies. The CSU Chico Research Foundation – Geographical Information Center (GIC) facilitates the Northeastern California Connect Consortium (NECCC) which consists of counties, cities, non-governmental organizations, anchor institutions and internet service providers (ISPs), among other partners in the rural northern California region. The GIC has a wide portfolio of broadband projects, providing service to both the local governments in the region and directly to the California Public Utilities Commission. The focus of the CivicSpark position will be addressing the rural digital divide through policy and planning. The Fellow will work as part of a multi-discipline team on a variety of projects to support rural broadband access. S/he will work hand-in-hand with a planner, an economic development specialist and the consortia manager, who is a PhD telecommunications engineer. The planner and economic development specialist also serve as grant funding support to the program. As an active participant with the local government staff in policy development, the Fellow will learn to organize working and public outreach meetings and analyze and propose changes to general plan policy. Under the guidance of the consortia manager, s/he will write sections of master broadband plans, with attributed authorship. As part of this team, the Fellow will have the opportunity to participate in strategy meetings, develop an understanding of rural broadband issues and be mentored in policy and grant proposal development. The ideal Fellow would be committed to follow through and exhibit attention to detail. In the rural communities of the NECCC, local government staffs are very limited and their willingness to collaborate on policy and planning for broadband infrastructure must be sustained by effective and efficient responses. The Fellow will be responsible for producing written material that is grounded in the local jurisdictions’ existing policies and community needs. Careful attention to this framework and the proposed changes will be needed. The Sacramento Metropolitan Air Quality Management District (SMAQMD) is a leader in addressing climate change in the Sacramento Region, working with partners to reduce greenhouse gas emissions, support public health and air quality, and build climate resilience. Extreme heat is a growing concern for the Capital Region, especially for vulnerable communities, and the transportation sector is a major source of urban heat. The Air District is launching a new program to analyze the regional urban heat island (UHI) effect and develop plans and recommendations to cool the community, boost transportation infrastructure resilience, and improve public health and transportation access. The Fellow will play a key role in the project through both technical analysis and through community engagement. They will help compile and analyze existing transportation plans, guidelines, projects, and codes in the Sacramento Region, to identify opportunities for UHI reduction. The Fellow will also research current and future plans for electric vehicle deployment and infrastructure siting. This research will help build a database and map to identify opportunities for incorporating cool pavements, urban trees, cool roofs, and electric vehicle infrastructure. Combined with UHI modeling and community input, this work will help identify priority strategies for regional heat mitigation. Because extreme heat has the most severe impacts for vulnerable populations, community outreach is another key component of the UHI project. Fellows will help engage disadvantaged, low-income, and under-resourced communities and build understanding of their needs and improvements for active transportation, transportation access, and neighborhood infrastructure, and also provide education on the health threats from extreme heat and air pollution. Fellows will help organize and host workshops, and analyze and understand community input. In a second project, the Fellow will help the Air District with the planning and implementation of programs to help expand ZEV access in disadvantaged and low-income communities. Currently, ZEV access is limited to high- and middle-income residents. The Fellow will help to expand new ZEV programs to provide funding and ZEV car share. Activities may include providing community engagement, education, and training, preparing for workshops, public speaking, and providing assistance directly to community members. The goal will be to help increase community access to ZEVs and low-carbon transportation. For both projects, the Fellow will work collaboratively with a diverse range of professionals from the Air District and our project partners, public agencies, community groups, companies, and other organizations. The ideal Fellow will have a strong interest in and experience with transportation planning and urban design, including transportation infrastructure, active transportation, electric vehicles, green infrastructure, cool roofs and pavements, and urban forestry. The Fellow will be analyzing transportation plans and projects of local agencies in the Sacramento area, and should ideally possess strong technical and analytic skills, including GIS and database/Excel skills. In addition, the Fellow should ideally be motivated to address climate change impacts on disadvantaged, vulnerable, and under-resources communities. They would ideally have strong communication skills and be interested in collaborating with other community groups and stakeholders to help communities reduce their exposure to extreme heat, improve their neighborhood and transportation opportunities, and expand access to zero-carbon transportation. The Adaptation Plan Guide (APG) is a set of four complementary documents; provides guidance to support communities in addressing the unavoidable consequences of climate change. The original APG was developed by the California Office of Emergency Services (Cal OES) and published in 2012 to provide guidance and support to all levels of government to address the unavoidable consequences of climate change. 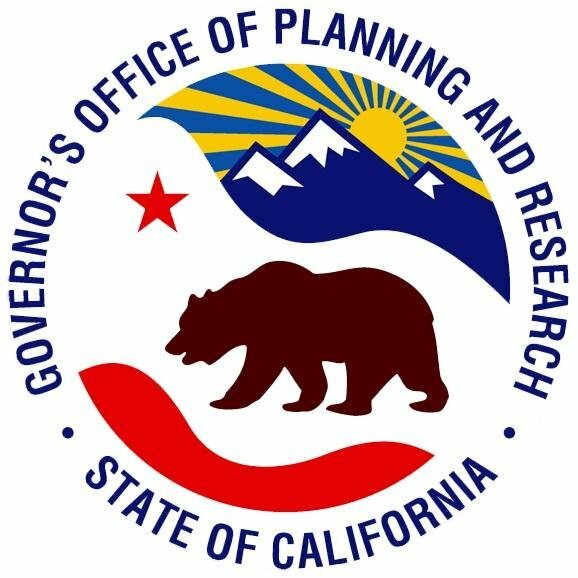 As part of the update process, the Cal OES will coordinate with the Natural Resources Agency, the Governor’s Office of Planning and Research (OPR), and relevant public and private entities in public meetings in the northern, southern and central regions of the state to obtain input from the public and leaders in local and regional climate preparedness. The APG update will consider the nexus between climate adaptation, community resiliency, public safety, security, and provide information and planning support for assessing climate vulnerabilities across impact sectors and regions. The APG will help integrate climate adaptation actions with state-mandated Regional Sustainable Growth Plans, general plan Safety Elements, and Local Coastal Plans, as well as federally-funded Local Hazard Mitigation Plans. The Cal OES does not have full-time dedicated sustainability staff to research, track and monitor climate adaptation actions, data and strategies required to update and maintain the APG and seeks a Fellow to implement and complete this update process. The Fellow will require skills and traits related to research, identification and assessment of existing data for climate vulnerabilities and impacts to sectors and regions. The Fellow will utilize and coordinate data and research within the Safeguarding CA, ICARP, 4th Climate Change Assessment efforts, etc. to maintain overall state consistency. Technical writing skills are required to assist Cal OES, in consultation with the OPR, Natural Resources Agency and, as needed, with the advisory council to update the APGs and assist in holding public meetings in the northern, southern, and central regions of the state to obtain/document input from the public and leaders in local and regional climate preparedness. Under the direction of the Cal OES, the Fellow will assist in the overall research, assessments and writing of the updated Climate Adaptation Policy Guides and related handouts reflecting key policy and action recommendations from stakeholders. The position will be responsible for supporting with Utilities’ Carbon neutrality and energy efficiency improvement planning efforts and projects. Fellows will report to the Sustainability Manager of the Department of Utilities. A key priority for this role is to assist and support with the implementation of Sustainability Plan for Utilities. The plan includes 2 main activities – 1) Energy Management Plan implementation efforts and help with evaluation of new and innovative technologies in energy management that will improve the DOU operations and maintenance. 2) Inventorying, benchmarking and reporting efforts of indirect and direct greenhouse gas emission to help create a roadmap to achieve Carbon Neutrality. In addition, this position will also support inter-departmental sustainability initiatives and Climate Action plan updates. Responsibilities may include development of presentations, reporting of sustainability metrics, coordinating sustainability outreach and marketing efforts, develop communication materials such as social media posts, blogs and other resources. 1) Energy Management Plan Implementation – Assist with research and evaluation of ISO 500001 energy management standard for Sacramento Treatment Plants. The efforts will include assessment of the requirements, collecting data from diverse groups, hold meetings with different stakeholders and implementation of measures identified by ISO 50001. Other efforts include review of annual energy use and consumption of Utilities; plan and help prioritize energy efficiency improvement projects with Engineering Division. 2) Carbon neutrality roadmap: Inventory, benchmark and assess the current GHG emissions. Assist with planning efforts with different stakeholders to identify the road map to Carbon neutrality. The Fellows need to be motivated, energetic and passionate individuals with project management and analytical skill sets. Tasks need collaboration with multiple units and departments; facilitating meetings, presentations and workshops to guide discussions, identifying roadblocks and challenges as well as ability to prioritize tasks to accomplish the projects in determined timelines. Desired qualifications range from knowledge of energy and water efficiency projects, greenhouse gas inventories and forecasting to general knowledge of sustainability principles, concepts and practices. The City of Chico‘s Climate Action Plan (CAP) outlines strategies, organized within a flexible ten-year framework, for a significant reduction of greenhouse gas emissions that are directly and indirectly generated by local activities. The CAP identifies broad-ranging areas vulnerable to climate change, including impacts on agriculture, water resources, air quality, public infrastructure, sensitive habitats, public health and safety, and, as a result, multiple economic sectors. The CAP directs the development of a Climate Change Adaptation Plan to outline long-term strategies for mitigating local impacts of climate change. To achieve this goal and be consistent with recent State sustainability legislation, Chico and Butte County had a CivicSpark Fellow during the 2017-18 year to coordinate with California State University, Chico and utilize tools developed by the State to initiate development of a Draft Climate Change Vulnerability Assessment that identifies risks climate change poses to the community, and to draft adaptation and resiliency goals, policies, and objectives for incorporation into local planning documents. The next step is to start implementing high priority adaption and resiliency actions, including: 1) development of a local Extreme Heat Action Plan; 2) identifying City infrastructure susceptible to increased heat and flooding; and 3) developing preliminary plans to protect infrastructure. Further, drafting of the City’s CAP began 10 years ago, and most of the actions included are outdated or have been implemented. The new Fellow will conduct research to identify the latest best practices communities are utilizing to reduce GHG emissions, which will assist the City’s Sustainability Task Force to prioritize future actions. The ideal Fellow will have research and writing skills, and the ability to project manage and coordinate with individuals at other agencies and organizations in developing a plan. As the capital of California, the City of Sacramento has prime opportunity to showcase new and innovative zero emission vehicle (ZEV) programs in the heart of California. Activities will build on the City’s early leadership in clean transportation and sustainability. The City is a participant in the Sacramento Clean Cities Coalition, and recently worked with other agency and community partners to develop a countywide EV readiness and infrastructure plan. Sacramento adopted the City’s first EV Strategy in December 2017. The City was previously hailed in 2015 as the #1 Green Fleet in North America, with 50% alternative fuels and ongoing investments in electrification. Sacramento has a long-standing commitment to sustainability, marked by adoption of its first Sustainability Master Plan in 2007, followed by municipal and community wide climate action plans. The position will be responsible for supporting with the implementation of ZEV readiness initiatives. The Fellow will report to the Sustainability Manager of the Department of Public Works. A key priority for this role is conducting research and assisting with the development of new programs for emerging ZEV issues. Primary activities are anticipated to include implementation of curbside electric vehicle (EV) charging, support for electric car share, educational and marketing initiatives, and the expansion of EV infrastructure to underserved areas. Other responsibilities will include general support for other City sustainability initiatives, including the City’s climate action plan update. Tasks may include preparation of reports for climate action monitoring and reporting, awards submissions, and updates to sustainability content on the City website. Project outcomes and key tasks are anticipated to include the following: ZEV-related tasks (70-80% of workload), curbside charging implementation, EV toolkits, support for developing plans to upgrade workplace and public charging, report on ZEV and shared mobility models for multi-family and underserved areas, other sustainability duties as assigned (30-20% of workload), support for climate action plan update, monitoring and reporting of energy efficiency and climate project outcomes, and website updates. Tasks will be highly collaborative, but preferred candidates will be motivated individuals with the ability to organize and analyze a diverse array of issues while succeeding in a team environment. Preferred candidates will identify with core values and mission of the Department of Public Works. As established in the recent 2016-2019 Strategic Plan, the department’s mission and vision are to provide innovative and sustainable infrastructure public infrastructure and services to preserve and enhance the quality of life. Core values of the Department are teamwork, integrity, accountability, and dedication. Desired qualifications for the Fellow include: experience working for local government, or studies in public administration, city and regional planning, or a similar field; analytical experience with greenhouse gas emissions inventories and forecasting; knowledge of ZEV or clean transportation technologies; and a foundation in general sustainability topics. The City of Woodland, located 20 miles northwest of Sacramento, combines a strong historic heritage in its downtown, neighborhoods, and identity as a traditional agricultural hub with increasing importance as a manufacturing and distribution center supported by its proximity to major transportation nodes and regional population centers. The City’s Climate Action Plan (CAP) was adopted in May 2017 and provides community-generated strategies to guide Woodland in reducing greenhouse gas emissions in six focus areas: energy, transportation and land use, urban forest and open space, water and waste, public involvement, and municipal operations. To support implementation of the CAP, a mechanism for tracking progress toward achieving CAP goals is needed to generate regular public reports on CAP progress. They envision this public reporting to be fully integrated with the City’s Web pages related to the CAP, including providing some form of overview or “dashboard.” Such regular reporting will enable the City to evolve its policies, program needs, and courses of action to further the success of initiatives that reduce GHG emissions. A second broad climate priority that may be included in the Fellow’s work is assisting with early thinking about the development of a climate adaptation and resiliency plan for the City. The Fellow will work with the City’s Environmental Services Division to establish a system to maintain Climate Action Plan (CAP) progress tracking and facilitate regular public reporting. The project will involve performing extensive research, working with outside agencies and city staff in several departments to obtain data and information and establish lines of communication, analysis of existing data, and development of a framework for ongoing data gathering and progress reporting. While this project will initially support the work of the Environmental Services Division, its anticipated outcomes will benefit all City administrative units with responsibility for addressing CAP goals, as well as the general public. Specific outcomes that will benefit City departments include defining evaluation criteria and metrics, identifying data sources and analysis methodologies, developing templates for reporting progress, and establishing a central repository for information related to tracking progress toward CAP goals. Development of such a procedural framework for reporting CAP progress will streamline the efforts of City staff and result in more consistent information being available to decision-makers and the public. Conceptually, they envision this project, and the Fellow’s work, to operate partly as a consultant to various city departments. This will include helping them understand how the CAP and its goals apply to them, as well as how CAP reporting data and implementation mechanisms can help them. As part of this, they can imagine the Fellow assisting with smaller projects that improve departments capacity to implement the CAP. An example might be development of a development checklist that could help planning staff evaluate a project’s consistency with the CAP and eligibility for CEQA streamlining. The Fellow should have strong analytical and communication skills. The project requires data analysis and communication by phone, email, and in-person with outside agencies and internal city staff in several departments to obtain data and information and to establish lasting lines of communication for ongoing CAP progress tracking. Applied research skills and an understanding of decision-making processes and program evaluation are a plus – ideally, connecting these through understanding how to present specific information critical to decision makers. The Yolo Resiliency Planning Group is an ad-hoc group of staff from public jurisdictions in Yolo County working to develop a collaborative inter-jurisdictional resiliency planning process. The Group seeks a Fellow to build capacity in support of local efforts to address increased heat effects and extreme heat events due to long-term changes in climate. Yolo County has a strong, positive history of people acting together to face challenges, protect their resources, and improve their collective well-being. Designing their response to climate change impacts is another opportunity to work together to meet challenges that are daunting to face alone. The Group has started its efforts with an initial focus on increased heat effects and extreme heat events, understanding that most of the likely effects of climate change in Yolo County will stem from increased heat. Additionally, the Group has quickly realized that there is less research, policy, and planning about heat impacts than for other climate change impacts like sea level rise or flooding. Through a county-wide workshop, the Group has identified a widespread need among local jurisdictions for assistance in understanding how key local planning documents can address the likelihood of increased heat effects and extreme heat events. Consequently, a particular focus of their initial efforts, and the Fellow’s work, will be creation and dissemination of sample language for key planning documents (such as general plans, climate adaptation and resiliency plans, and local hazard mitigation plans) in order to facilitate developing local resiliency in preparation for the likelihood of increased heat effects and extreme heat events. The Fellow’s work on this project will likely include a significant amount of research, needs assessment, and, especially, communication. As a collaborative, the Yolo Resiliency Planning Group envisions this project to be inclusive, engaging, and transparent. The Group expects that a significant portion of the Fellow’s work will involve communication, both verbally and in writing, with a wide range of local agencies and stakeholder groups to facilitate participation. The successful Fellow will be highly organized, willing to take ownership of project goals, and comfortable coordinating busy people with competing priorities. The Delta Stewardship Council (DSC) is a state agency. Their mission is to advance two equal goals: to provide a more reliable water supply for California and to restore the Delta ecosystem. They do this in ways that protect and enhance the unique cultural, recreational, natural resource, and agricultural values of the Delta as an evolving place. The DSC developed and carries out the Delta Plan by working with all stakeholders to provide a strategic vision for the Delta and the tools and mechanisms to implement that vision. The DSC is developing a comprehensive climate change vulnerability assessment and adaptation plan for the Delta. The assessment will involve the use of the best available science available and the application of that science to quantify and describe the potential impacts to local communities and resources. Adaptation strategies will provide direction for federal, state, and local government authorities to make investments in the Delta that are consistent with the Delta Plan, robust in the face of climate changes, and provide increased protection and resilience to future changes. The Fellow will work to ensure that existing county government information is incorporated into the vulnerability assessment and that the vulnerability assessment provides information and tools that are useful for county governments throughout the Delta. The Fellow will also help provide for the DSC with information about potential strategies for climate change adaptation that are implementable by county governments within the Delta. The ideal Fellow would have excellent interpersonal skills and be able to adapt and think creatively within the scope of broadly defined goals to produce products that are useful to stakeholders and the host agency. Demonstrated analytical skills and the ability to use GIS and database tools are strongly desired. The Alameda County Water District (ACWD) has an active water conservation program and progressive water resources planning division. Fellows will assist the Water Conservation Team and water resources planning division in reviewing customer water use data and supporting documentation to provide the District with an updated landscape and business/institutional water use assessment dataset to help the District calculate targets and target conservation programs to meet State targets. Fellows may also assist in developing a preliminary list of methods (e.g., water conservation programs) the District can use to achieve more efficient use to meet the State targets. Fellows will work with all types of customers to encourage water savings and on projects that help the water resources planning division with long-term planning needs which may include, but are not limited to, climate adaption planning, water reuse outreach and education, and analysis of new legislation that impacts the District’s conservation and planning divisions. Fellows will also interface with the District’s service area cities to determine water use efficiency needs specific to those customers. The ideal Fellows will have strong data analysis and research skills, and GIS experience would be a plus. This position may require some driving to carry out field visits, so a valid Driver’s License is ideal. Strong writing and communication skills are also important. The City of Antioch, in East Contra Costa County, has some of the most affordable housing in the Bay area but also the highest concentration of unhoused persons in the county, as well as a sizeable population of lower income, disabled and elderly persons all who need deeply affordable housing. To address these issues, the city has three critical projects that would be undertaken by the chosen Fellow. Each teaches and builds upon important community building, research, analytical, writing and presentation skills. Each project also exposes the Fellow to increasingly deep levels of City and County government. Project 1: Effects of Antioch Code Enforcement efforts in lower income neighborhoods – After receiving training in housing condition identification and municipal codes, Fellow and Code Enforcement officer will conduct a driving survey of lower income census tracts to visually assess housing conditions and municipal code violations. Fellow will compare with two previous surveys to identify neighborhood trends, then help identify services needed to improve the living environment of these areas and an outreach strategy. Finally, Fellow will write up findings, and present to City Council. Project 2: ADA Self-Evaluation & Transition Plan Update, Accessibility to government services for all members of public – Fellow will receive training in various disabilities and how they affect access to services. Using an existing survey, fellow will interview key staff in each City department to document all programs and services offered, accommodations made for persons with disabilities, and policies developed to ensure access. They will design and implement public outreach strategies, including conducting community meetings and working with disability advocates and groups. Fellow will analyze all data and assist in preparation of the Self-Analysis and ADA Transition Plan for services. Project 3: Inventory of deed-restricted affordable housing units, by income range, in all cities in Contra Costa County – Fellow will receive training in the basics of affordable housing development and sustainability. They will work with planning and affordable housing staff at County, Concord, Pittsburg, Walnut Creek, and Richmond to produce an accurate inventory of all affordable units in County, and current levels of affordability. Fellow will summarize data in Excel, analyze and compare to need, prepare a written summary, and orally present findings at the Countywide CDBG/HOME Consortium meeting and Homeless Continuum of Care Board meeting. The ideal Fellow will be curious, empathetic, and open to learning. They will have or develop an interest in the challenges and issues faced by disabled and lower income residents and communities. They possess basic Excel skills and good writing and analytical skills. They have, or wish to learn, the skills required to conduct good public meetings and make oral presentations. They will develop their work plan and work with staff to create the structure they need to accomplish their goals, stick to schedules and deliverables, and mutually assess their performance at regular intervals. By working with the passionate staff at the City of Antioch, the Fellow will learn the satisfaction of making real contributions to better the lives of thousands of residents for many years to come. In 1961, the Bay Area’s local governments came together to form ABAG as a response to state legislation that would have supplanted local control over all bridges, ports, and transit operations in the Bay Area. ABAG’s mission ever since has been to strengthen cooperation and collaboration among local governments to provide innovative and cost effective solutions to common problems that they face. The ABAG Planning and Research Department works with local governments and stakeholders to develop and implement innovative solutions for issues involving land use planning, housing, transportation, environmental climate change, earthquakes and disaster resilience, and economic equity. The Fellow will work with the Association of Bay Area Governments and State Department of Housing and Community Development (HCD), on research, outreach and input for the guideline development process and a variety of other activities related to accelerating housing production on SB 2 Implementation. The Fellow will be coordinating activities with the SB2 project Fellows at HCD and in Placer County. The Fellow will spend most of their time in ABAG offices in San Francisco, but will travel often to HCD offices in Sacramento. The City of Emeryville is looking for a Fellow that will assist the City in creating a comprehensive municipal facilities Energy Resilience Plan. Through this project, the Fellow will: 1) Develop a roadmap for electrification of the City’s municipal fleet and building stock, specifically including battery storage and microgrid opportunities as applicable; 2) Analyze the potential for solar on three City buildings and make recommendations on next steps for inclusion in the Capital Improvement Program; 3) Integrate energy resilience metrics into current and future Capital Improvement Program projects; 4) Collaborate on an upcoming parking study to include electric vehicle (EV) charging and GHG targets for consideration; and 5) Recommend Environmental Program priorities for achieving municipal GHG reduction goals. Emeryville’s Public Works, Planning, and Building Departments, as well as their emergency services (Police and Fire Departments) all benefit from the creation of this plan through increased energy resilience for emergency services, which is a Local Hazard Mitigation Plan goal. Public Works and Community Development will benefit from the GHG-focused review of the parking study and imminent paid parking project. Furthermore, this work will provide the City eligibility for future funding for energy-related projects. The ideal Fellow will have a technical interest in energy systems and strong data analysis skills; in addition, an interest in/capacity to learn about public outreach would be valuable. The City of Antioch, as the Gateway to the Delta, enjoys a river shoreline and foothills that back up to Mt Diablo while still being a part of the San Francisco Bay Area. Antioch’s climate goals and climate action plans were adopted in 2010 and to reach their goals, they need more participation in existing programs as well as public interest in creating new projects. Staffing reductions that occurred in the Environmental Resources department during the Great Recession resulted in a severe cut backs on resources dedicated to participation in local events and other outreach opportunities. The City is entering it’s fourth year with CivicSpark, and efforts from previous Fellows have brought them up to speed on their monitoring and inventories and have identified the need to focus on building back up their public education and outreach opportunities. Additionally, the City continues to work on municipal energy conservation projects and needs project management assistance to keep these moving forward. This year’s Fellow will be working to assist the City of Antioch’s Environmental Resource Division and the Housing program with increasing participation in existing program as well as working with the Recreation and Public Works Departments on finalizing and implementing the energy efficiency improvement plan currently in progress. The ideal Fellow will be willing to take ownership of their programs and be proactive. The Fellow should be comfortable working with the public and speaking to groups, as well as be an independent worker and creative thinker with social media and outreach experience. Strong writing and verbal communication skills are a must as the primary focus of the program year will be interacting with the general public and reaching out to community groups. The City of Richmond is looking for a creative problem solver to help develop and implement energy upgrades in city facilities, and integrate energy metrics with the city’s climate action plan dashboard. The City of Richmond provides Fellows an opportunity to complete projects within an 11-month time frame and to significantly contribute to advancing the City’s Climate Action Plan and Health in All Policy goals. Specifically, the city is aiming to undertake comprehensive energy upgrades in city facilities that demonstrate best practices in building energy performance, and reduce the city’s greenhouse gas footprint and operating costs. The project will expand existing energy management systems, identify and implement energy efficiency measures, and electrification demonstration measures. The project will interface with the public and decision makers by leveraging and integrating the city’s existing utility accounting and management software with the City’s Climate Action Plan dashboard utilizing application programming interface tools. The ideal Fellow should be a creative problem solver that’s eager to take on a variety of roles and contribute to the City’s Climate Action Plan implementation. The most important characteristic is a disposition to serve the public with good customer service. Desired qualifications include strong writing skills, quantitative analysis, software, and/or design. The City of Dublin has just begun the process of creating a new Climate Action Plan (CAP) to address the State of California Air Resources Board (CARB) guidelines for new reductions targets. Dublin’s current CAP, adopted in 2013, has greenhouse gas reduction targets through 2020 which the City is on track to meet. The Fellow will be assisting the City’s effort to update its reductions goals to the new horizon years of 2030 and 2050 by engaging in public outreach efforts to create stakeholder momentum behind climate action. The Fellow will take a lead role in community engagement and education as Dublin develops and adopts the new CAP. Once adopted, the Fellow will educate the public on the City’s new CAP with the goal of engaging the community in actions that will reduce greenhouse gas emissions in Dublin. This will involve leading workshops and providing presentations to community organizations. Additionally, the Fellow will update the City’s electronic and printed material related to CAP implementation programs to make them easy to understand and motivational. The ideal Fellow will be outgoing, well spoken, and excited to motive the community around climate action. The Fellow will have knowledge and skills in stakeholder engagement, public speaking, and professional writing. The Fellow should also be comfortable working somewhat independently. Experience specifically with the principles of Community Based Social Marketing (CBSM) is a plus. The County of Contra Costa is located in the East Bay region of the San Francisco Bay Area. The County’s physical geography is dominated by its extensive waterfront on the San Francisco and San Pablo Bays and the Sacramento-San Joaquin Delta. These waterfront areas are home to heavy industry, including active oil refineries and power plants. The eastern part of Contra Costa County has a robust agriculture industry which is important to the County’s economy and identity. Emissions from stationary source facilities and from the energy used by those facilities and other major industrial sites are the major source emissions within the unincorporated County. After stationary sources, the next largest source of emissions is the transportation sector. There are many “disadvantaged communities” in Contra Costa County, and many vulnerable populations. Climate change will disproportionately impact these vulnerable populations, for example, those that are low income, people of color, medically compromised, very young, very old, socially and linguistically isolated, and outdoor workers. These populations already suffer disproportionately poor health outcomes, and often live in housing that is substandard in many ways that impact their health. The County and community-based organizations (CBOs) provide a number of services to these populations that are not coordinated in any substantial way. Some of these services offer assistance in addressing these problems, which can also reduce the generation of GHGs and help residents adapt to the impacts of climate change (weatherization, energy efficiency, lead poisoning prevention, pest management assistance, etc). Many County programs and CBOs also send staff to the homes of vulnerable populations to provide other services (Public Health Nursing, AIDS case managers, Head Start, WIC, etc). The CivicSpark Fellow will be instrumental in connecting and cross-training these programs about the services each provide and how they can help residents take advantage of these programs in the most effective and efficient ways, with many cross-over benefits. The Fellow’s work will lay the foundation for a robust healthy home approach. The ideal Fellow will be a motivated person with strong research, analysis, and oral and written communication skills. The Fellow must be comfortable in a variety of settings and working with individuals from different disciplines and socioeconomic backgrounds. Ability to organize information and establish processes is helpful. The City of San Leandro’s Sustainability Office and the Water Pollution Control Plant are embarking on a new and exciting collaborative to build a demonstration project with the wetlands restoration and nutrient removal “living levee”. The Fellow will work with the city’s design and engineering consultant to create an array of conceptual designs for presentation to the public to obtain their interest and feedback on this unique green infrastructure project. The resilience engagement will also include collaboration with local and regional environmental advocacy groups to conduct tree planting and other volunteer green infrastructure projects as a way to engage the public. The Fellow’s work on public engagement to help develop the City’s first Climate Resilience and Adaptation Plan and to update the Climate Action Plan (CAP) will build much needed community leadership around climate resilience. Currently, San Leandro has no robust community activism around climate, so such efforts are hampered by the lack of public interest and input. The Fellow will coordinate with the East Bay Energy Watch (EBEW) Policy and Regulatory Subcommittee and regional partners within the EBEW network to ensure that EBEW’s energy-related climate mitigation strategies incorporated into the CAP Update. The ideal Fellow will have general knowledge of climate mitigation and adaptation, and be broadly versed in the sustainability topic to be able to quickly take on engagement with the general public. The Fellow should be able to speak with a wide variety of people including technical experts in the area of green infrastructure as well as the general public, city staff and regional partners in climate mitigation and adaptation. The Fellow will act as a liaison with the Planning, Engineering, Police, Fire and other related staff to form an internal Climate Action Planning team to ensure that the climate mitigation measures are fully vetted with other city departments in their respective roles and responsibilities. The San Francisco Public Utilities Commission (SFPUC) is one of the leading agencies focused on responding to the threats posed by climate change. SFPUC’s senior management early on recognized their potential vulnerability to climate change and devoted resources to addressing it. One of the first water agencies in the country with dedicated climate staff, the SFPUC has developed new modeling capabilities, built extensive relationships in the climate science community, invested substantial resources in evaluating its capital investments in light of climate change, helped lead City and County efforts to evaluate the threat of sea level rise, and participated in local, state, and national forums on behalf of both the City specifically and adaptation planners in general. With this active portfolio comes multiple opportunities to make a difference. A Fellow would add significant value in a number of areas where the SFPUC can be more effective. In particular, networking and collaboration opportunities abound; these can enhance the SFPUC’s (and the Fellow’s) exposure to people displaying leadership, programs at the bleeding edge of adaptation, technical approaches for building resilience, and interactions with others facing challenges similar to the SFPUC. The Fellow will support the Climate Program Director in putting together a small workshop with a goal of identifying the best and most appropriate climate projections for the SFPUC’s drinking water system. The Fellow will support outreach and organizing in support of a newly launched Bay Area Climate Adaptation Network (BayCAN). The Fellow will also support The SFPUC’s Water Utility Climate Alliance initiatives and assist in the SFPUC’s Climate Collaboration and Coordination Committee meet its goal of increasing internal coordination between staff working on adaptation and mitigation issues. The ideal Fellow will have strong research and analysis skills and starting knowledge of the causes and effects of climate change. The Fellow would be someone who enjoys working in a collaborative team environment. Known as the “Urban Village by the Bay,” the small City of Albany offers small town charm in a dense urban setting. Despite its density, Albany is home to a thriving natural environment, which includes 5,000 publicly owned trees, 5 creeks, 104 acres of research farmland, a sandy beach and wetlands, as well as 112 acres of parkland, including Albany Hill and the Bulb. The goal of the City of Albany’s Sustainability Division is to protect this critical habitat from the effects of climate change, while also ensuring social equity and maintaining a thriving local economy. With Albany’s limited staff capacity and varied projects, the work of a Fellow is crucial to move climate action forward. Albany is especially vulnerable as a waterfront community and needs to evolve and adapt to a changing climate. The development of a Climate Mitigation and Adaption Plan will help Albany do this, but the task needs to include comprehensive community engagement in order to create an effective plan. The current project has a limited budget and scope, and much of the work will be done by city staff and the Fellow. The Fellow will increase staff capacity to engage Albany’s educated and diverse community in the process of developing a Climate Action and Mitigation Plan to ensure all voices are heard. The Fellow will be intimately involved in the development of exciting and innovating new plans and programs. The Fellow will focus their time specifically on the planning and community engagement process for the Climate Mitigation and Adaptation Plan, now that the Request for Proposal has been approved by Council. Consultants will be selected before the Fellow’s service year begins and they will have a chance to hit the ground running as the planning process unfolds. The Fellow will have the opportunity to look at encouraging and/or requiring new city vehicles be zero or low emissions, with the ability to utilize the city’s new charging stations. Other potential projects also build on previous Fellows’ successes, including implementation and outreach of the new Local Hazard Mitigation Plan. The ideal Fellow would have a demonstrated interest in sustainability. Coursework in environmental studies is a plus. The Fellow must possess excellent written and oral communication skills. Community outreach is a key component of the project, the Fellow should have an interest in working with people, and an interest in developing public speaking skills. The development of plans and policies takes a degree of creativity and problem solving. As a small city they are looking for an individual who can take initiative and work independently. This includes working on multiple projects, managing time and multiple deadlines. Project focus may shift over time, flexibility and a willingness to take on new responsibilities is key. Pleasanton is a mid-sized city located in Alameda County. In 2017, Alameda County established East Bay Community Energy (EBCE), a Community Choice Aggregation (CCA) program. The city opted not to join EBCE in its inception but established a policy to reconsider, with “proof of concept,” following one year of operation. The city seeks a Fellow to investigate the feasibility of participating in EBCE as a means to gain more local control over Pleasanton’s energy supply portfolio in order to reduce our community’s overall greenhouse gas emissions. The Fellow will conduct in-depth research and analysis of EBCE’s organizational structure, financial health, product offerings, enrollment process, and long-term outlook to answer questions designed to inform each criterion. The goal is to assess EBCE’s viability as an energy provider and its ability to deliver on its promise of cleaner energy at lower cost. The Fellow will document findings and deliver a written assessment with recommendations for consideration. The City of Pleasanton’s Energy and Sustainability Program (ESP) is charged with implementing and updating the City’s Climate Action Plan (CAP), providing staff support to the City’s Committee on Energy and the Environment, and evaluating the operation of the newly formed CCA program in Alameda County for one year before making recommendations to City Council regarding possible enrollment in the CCA. The ESP does not have a staff person dedicated to providing the above functions full time. Instead, the city’s Environmental Services Manager, who oversees the Environmental Compliance, Water Conservation, and Recycled Water Programs, and the city’s lab also performs the day-to-day activities of the City’s Energy and Sustainability Program, without staff support. More can be done with additional resources. A Fellow will significantly expand the city’s capacity to execute the CAP by spearheading some CAP initiatives while being offered a valuable opportunity for project management. This individual’s active participation in East Bay Energy Watch’s Marketing and Outreach Subcommittee and the creation of the city’s new Sustainability webpage will also strengthen the city’s interface with the public to more effectively promote messages of sustainable living. Under supervision, the Fellow will perform independent research and critical analysis before arriving at recommendations that may have an immediate impact on the city’s electricity supply portfolio. The Fellow will provide technical and administrative support to the Environmental Services Manager and to the city’s Facility Maintenance Division and Engineering Department as needed to ensure the project’s successful and timely completion. The ideal Fellow will have a technical background, such as a degree in science, engineering, or environmental studies. He/she will be a self-starter and capable of independent research, critical thinking, and data analysis. The Fellow will also be able to organize and communicate findings effectively in writing, while possessing good oral communication skills. RecycleMore (West Contra Costa Integrated Waste Management Authority) is a joint powers authority (JPA) created in 1991 by the Cities of El Cerrito, Hercules, Pinole, Richmond, San Pablo, and Contra Costa County (“Member Agencies”). The Authority is responsible for monitoring and reporting to the State of California (CalRecycle) on all waste streams generated within its service area, as well as the diversion programs that are in place to reduce landfill bound waste and its climate impacts. RecycleMore is targeting 800 new compost participants in the commercial and industrial sectors over the next 20 months. The account database creation and program planning will begin in September of 2018, with targeted outreach, education and program implementation following until complete. Developing a systematic process to effectively address this many accounts will be essential. As for the schools program, there are 35 target school sites that need some form of organics diversion program. The Fellow will work in conjunction with RecycleMore, their local waste hauler, and the school district to implement this important environmental and educational program. RecycleMore proposes a capacity building project for the Fellow to assist the agency in gaining participation in the commercial composting program in West Contra Costa County. By diverting food scraps to a compost facility, they are reducing the methane generation that would occur if the organic materials were landfilled. RecycleMore oversees the recycling and compost processing in West Contra Costa County and manage compliance with state waste reduction and diversion laws, and more specifically, AB 1826, which requires all food generating businesses to separate their food waste for compost collection. The Fellow would provide outreach, education, implementation and training to new commercial businesses that will be required to divert their organic waste for composting. RecycleMore will work with the Fellow to create a system to identify and engage the businesses that generate organic waste; create a database to track compliance; and assist with the actual on-site implementation of the program at targeted businesses. RecycleMore has the program infrastructure in place with collection and processing agreements, but lacks the staffing capacity to effectively reach and educate all the targeted businesses. An additional aspect of this program will be to implement organics diversion programs at schools throughout the School District. Although commonplace in most Bay Area counties, the West Contra Costa Unified School District currently has only two schools participating in the composting program. The ideal Fellow will have excellent communication skills in order to educate and provide outreach to a diverse community; assist in widespread implementation of the commercial compost program; and to work well with various stakeholders. The City of Orinda is a small agency and does not have a Climate Action Plan (CAP), and is likely one of very few communities in the Bay Area without one. GHG inventories were taken in 2005 and 2010 with the assistance of PG&E and ICLEI, but the city has not taken next steps to analyze inventory data and formalize goals into a CAP. Recent local disasters (including a major sinkhole caused by a severe storm) not only re-focus the city’s attention on this matter, but they present a promising course of action to develop a CAP. The City Council is focused on the importance of avoiding natural disasters, and adopted a new Local Hazard Mitigation Plan with a goal to adopt a CAP by 2023. Currently, city staff does not have capacity to complete the inventory or prepare the CAP without assistance. The Fellow’s primary role will be to manage data gathering and analysis for the new inventory, and then draft a CAP for review by staff, followed by City Council. The Fellow would coordinate CAP preparation with related initiatives such as the Public Works Department’s Green Infrastructure Plan (in progress), and the Planning Department’s Downtown Orinda Streetscape Master Plan (out to bid). The Fellow will help organize community meeting(s) in advance of City Council review, with staff assistance. Through PG&E’s East Bay Energy Watch, there may be opportunity for the Fellow to work with representatives from other agencies on a coordinated inventory. The ideal Fellow would be a self-starter with a special interest in energy efficiency and GHG reduction strategies. The Fellow would have an undergraduate degree in Environmental Studies or significant coursework in this area. To successfully manage the GHG inventory and prepare a CAP, the Fellow would be organized and able to work under minimal supervision. The Fellow would be ready and able to work with staff in multiple departments such as Planning, Public Works/Engineering, and Parks and Recreation. Also, since there is opportunity to help on the Green Infrastructure and Downtown Orinda Streetscape Master Plan in addition to the CAP, it is helpful if the Fellow has an interest in these areas as well. The City and County of San Francisco Department of the Environment (SFE) provides solutions that advance climate protection and enhance quality of life for all San Franciscans. SFE consists of nine programs, including Climate Change, Green Building, Energy, Zero Waste, Toxics Reduction and Integrated Pest Management, Environmental Justice, Clean Air Transportation, Urban Forest and Public Information. SFE’s cross-functional Climate Program engages a variety of partners and stakeholders, other City departments, community-based organizations, private sector and the public to mitigate climate change impacts, green the built environment, and enhance equitable access to services in San Francisco. SFE is the steward of climate action in San Francisco and is tasked with leading mitigation efforts to meet the city’s GHG emission reduction targets and collaborates with other city departments on climate adaptation. Understanding the emissions reductions trends and opportunities by sector is critical for staying on track towards the city’s ambitious carbon reduction target of Net Zero Emissions by 2050. This requires ongoing maintenance of the city’s GHG inventory, critical analysis of sector emissions, and engagement with internal and external stakeholders. Through these efforts, the Fellow will learn how to use industry leading analytical tools and learn about the wide breadth of mitigation and adaptation policies unique to San Francisco’s climate action efforts. Specifically, the Fellow will work with SFE’s Climate Team to collect, process, analyze and visualize citywide and municipal emissions inventory data, maintain and improve the GHG inventory, and engage with local, regional and global climate practitioners to improve the city’s capacity to understand and address emissions. In addition, the Fellow will gather and analyze data and information needed to understand the potential impact of climate mitigation and adaption actions on citywide and municipal emissions, as well as to identify and communicate the broader and inclusive social, economic and environmental benefits of taking action. The ideal Fellow would have a great enthusiasm for environmental sustainability, an understanding of the global carbon cycle and greenhouse gas sources and sinks, and a desire to learn about the evaluation and communication of climate action and adaptation benefits. The Fellow should be responsible, motivated, and able to work independently and in a team; have advanced knowledge of Excel; experience researching and analyzing data; excellent writing, time management, and organizational skills; and proficiency with word processing, database management, Google and Microsoft products. The Fellow should be comfortable working with individuals from different disciplines and backgrounds and effectively communicate with racially, ethnically, culturally and socioeconomically diverse audiences. The Business Council on Climate Change (BC3) is a coalition of San Francisco Bay Area organizations dedicated to forging collaborative, local solutions to climate change. We work together across businesses, across government agencies, and across economic sectors to secure a vibrant future for our city and our planet. Through the SunShares program, cities and large employers pool the buying power of their residents to secure discounts from experienced solar firms on residential solar installations and vehicle dealerships on electric vehicle ownership, while also offering no-cost workshops and home solar assessments. SunShares is an initiative that helps Bay Area municipalities meet their climate action goals by accelerating deployment of renewable energy and EVs among Bay Area residents. Homeowners want to save on their utility and driving costs while using more clean electricity. Often though they aren’t sure how to go about it and don’t have time to research all the options themselves, which leads to inaction. The Bay Area SunShares Program (SunShares) pools the buying power of 50 corporate and city Outreach Partners across the region to secure lower prices on residential solar and electric vehicles, while also providing free, third-party technical assistance and education to residents of participating communities. The Fellow would help the listed municipal beneficiaries develop and implement comprehensive Outreach plans for the SunShares program; design improved educational materials for use across the program; and research new products (e.g. electric water heaters, EV charging, e-bikes, smart thermostats) for inclusion in the program. This position offers substantial responsibility and an excellent opportunity for a highly organized and entrepreneurial individual to have a tangible impact in advancing clean energy solutions. This position also offers a rare opportunity to work closely with sustainability teams at some of the country’s most forward thinking local governments. The ideal Fellow would have excellent writing skills; Strong attention to detail; Professionalism; Proven ability to develop and/or manage complex projects; Social media and online organizing experience; Video and/or graphics experience preferred; Knowledge of climate change, sustainable cities, and sustainable business issues; and an unshakeable positivity. The City of San Pablo is located in the East San Francisco Bay Area near the City of Richmond and Wildcat Creek Canyon Regional Park. San Pablo is considered a small, diverse city with a population of 30,000 that is primarily Spanish speaking. Over the past year, the City has successfully received over 10 million dollars in grant funding for the implementation of transportation and environmental programs. However, implementing these numerous grant-funded projects has prevented the limited staff in the Public Works Department from pursuing other important projects to facilitate regional transportation and energy efficiency projects, as well as trash reduction in the creeks. The Fellow will assist with the implementation of three major components of the City of San Pablo’s Climate Action Plan by reviewing, collecting, and analyzing data. Writing reports, informational handouts and other professional communications. Conduct outreach in the local community and with other agencies, which will include scheduling public and regional meetings, creating outreach materials and presentations to interagency groups. Reviewing constituent deliverables, including project designs and other plans. Direct the writing of the Draft Regional EV Charging and Creekside Beautification and Trash Reduction Plans. The County of Merced overlays four groundwater subbasins and is participating in seven groundwater sustainability agencies (GSA). In these GSAs, the County represents the unincorporated areas not within a water district. There are challenges in educating and reaching these unincorporated areas and will require an innovative and strategic approach. The Fellow will be working to develop and implement a strategy to reach the unincorporated “white areas” with information on the Sustainable Groundwater Management Act (SGMA) and to solicit feedback. Outreach could involve newsletters, distribution lists, mailers, and website development to provide interactive information. The Merced Subbasin is the largest groundwater basin in Merced County and as such requires the most intensive Stakeholder outreach, so the Fellow will coordinate closely with Merced County and the Merced Subbasin GSA on Merced Subbasin Stakeholder Engagement Strategy implementation. The San Luis and Delta-Mendota Water Authority (Authority) is assisting in the coordination of 24 GSAs and the development of 6 coordinated GSPs to meet compliance with SGMA. This includes partnerships with approximately three-dozen various agencies including cities, water districts and irrigation districts, counties, private landowners, and other interests. The Authority is directly contracting with a consultant to develop and update the Northern and Central Delta-Mendota Region GSP. The Fellow will assist Authority staff and its consultant with coordination and facilitation of various committee meetings, act as a liaison with the subbasin communication workgroup, and participate in or lead community engagement and outreach efforts within the region. The Fellow will work closely with regional subbasin representatives monitoring technical and policy level details and milestones to ensure adequate coordination. The Fellow will assist Authority staff in GIS mapping, valuable data input, and analysis of groundwater level hydrographs which will be used in GSP development and future planning. The ideal Fellows will have good communication skills, as they will engage with the community and develop ways to reach stakeholders with information; web site development skills are a plus. Fellows must also have organizational and project management skills, and the ability to analyze and identify needs and solutions. Ability to manage data in excel, Microsoft Access, and GIS experience would be a plus. The County of Merced‘s adopted General Plan calls for the development of a the County’s first Climate Action Plan (CAP) by the year 2020. The Merced County Planning Division is overseeing development of the plan, which will affect policy and land use development decisions at the County and regional levels. The Fellow would be expected to work closely with Planning staff to manage development of the Climate Action Plan, including completion of a greenhouse gas (GHG) inventory, identification of an emissions reduction target, and selection of reduction measures in collaboration with the community. The Fellow would plan and execute outreach initiatives, coordinate communication with internal and external stakeholders, and work directly with technical consultants to complete project-related analyses. The ideal Fellow will have very strong organization/project management skills as planning/sequencing of deliverables, and responsiveness will be integral to success. Fundamental project management skills, project tracking, and organization are critical, as are strong communication skills. The Fellow will be expected to brief community members, stakeholders, County teammates, department heads, and elected officials on the details of the project, and experience with public speaking is important. Fluency in spoken and written Spanish are encouraged. The County of San Luis Obispo Public Works Water Resources Division implements and updates the Integrated Regional Water Management (IRWM) Plan which includes understanding the water-related needs for disadvantaged communities within the county. The development of a needs assessment will take place during the fiscal year 2018-2019. The focus for the Fellow includes the following: Develop a comprehensive inventory and description of disadvantaged communities among the available US Census geographies within San Luis Obispo County; Gather data and identify gaps for small communities and individuals considered to be underrepresented; Identify and evaluate public and private water systems serving disadvantaged communities; Perform outreach as needed to further obtain water, wastewater, stormwater and other related information; Understand the specific water-related challenges facing each identified disadvantaged community; Evaluate water systems serving disadvantaged communities for technical, managerial, financial (TMF) capacity elements such as water source capacities, water rights and ownership, organization and structure, operators and training, policies and procedures, operations plans, emergency response plans, drought contingency plans, budget control/projections, and capital improvement plans; Develop recommendations such as strategies for further outreach, education and engagement activities, capacity building programs, funding opportunities and financial assistance programs, and project planning and implementation guidance. These tasks will require management of technical consultants, collaboration with partnering state and local agencies, and engagement with community members, stakeholders, nonprofit organizations, and subject-matter experts. The Water Resources Division through their Technical Unit also manages their water resources monitoring program. They provide up to date data for rain, stream, reservoir and groundwater resources. The Fellow will assist them in supporting and developing their data management system (DMS) products to improve their service to making the data accessible to the public and to support their management and stakeholders to make data driven policy decisions. Some of the specific tasks are listed as follows; Assist in evaluating current technology and recommend innovation. This includes data gathering process and equipment improvements, investigating feasible DMS software upgrades, recommending new DMS software, and utilizing mobile platforms; Assist in providing data and establishing a template to streamline future data requests; specifically, to support their Groundwater Sustainability Agency partners as they generate their groundwater basin specific Groundwater Sustainability Plans; Developing a technical procedure manual that describes the use of technology to assist in data driven water resource policy decisions and to provide ease of public accessibility. The anticipated outcomes and desired deliverables include various technical memorandums as part of reports submit to the Department of Water Resources; various presentations and outreach materials to be delivered to multiple stakeholder groups, technical experts, and policy makers; a comprehensive county-wide disadvantaged community needs assessment; and a disadvantaged community communications and outreach plan. The ideal candidate would have excellent organizational and collaboration skills, proficiencies with database, geographical information system (GIS), and spreadsheet applications are desirable. The Pacific Coast Broadband Consortium, for which the Economic Development Collaborative-Ventura County (EDC-VC) serves as the fiscal agent, co-chaired by EDC-VC and the County of Ventura, represents a large network of community-based public and private entities committed to working together in order to develop an integrated approach of shared interests and priorities. The three county stakeholders and consortium partners are all motivated to action by an agreement that our regional economic, social, and cultural competitiveness is dependent upon an effective broadband infrastructure. In working together for the advancement of broadband, the stakeholders embrace the opportunity and benefits of collective impact and demonstrate an innovative and effective mechanism to develop optimum solutions for regional problem solving. As they complete the first two years of this initiative, the imperative has only grown in support with the findings of an infrastructure analysis of the region, the identification of areas of need and opportunity, and the commitment of community leaders. Unique to this ensuing effort is the application of the lessons learned for strategic execution in areas of mapping, policies and standards, task force communications and collaboration, and accelerated adoption. The areas requiring the support of a Fellow involve analysis of CPUC broadband adoption data, use of GIS tools, and assistance in stakeholder (and community) communications, coordination, and social media. Ideally the skills involved will include effective communication, personal initiative, and the ability to identify and contribute to regional stakeholder-related issues, opportunities, and problem solving. The Ventura County Regional Energy Alliance (VCREA) is a Joint Powers Authority composed of public agencies working in collaboration to address good energy stewardship in the Ventura County Region. VCREA provides services and support to help local government partners, including the ten cities, County of Ventura, Special Districts, School and Community College Districts, and Water Districts, achieve the greatest possible GHG and energy consumption reductions. Community Environmental Council of Santa Barbara (CEC-SB) is a non-profit organization that has for almost 50 years innovated and incubated real-life solutions to the most pressing environmental problems on the Central Coast and in California. VCREA and CEC-SB collaborate on many energy-related programs and are currently working together to develop a Ventura County Electric Vehicle (EV) Ready Blueprint. While Ventura County has committed substantial local resources to EV Ready and EV infrastructure, there remains a wide gap between current EV-ready levels and what is required for Ventura to achieve its potential to meet its share of statewide EV goals. To bridge this gap the region must: 1) Plan and deploy adequate fast charging infrastructure on the key transportation corridors; 2) Demonstrate innovative strategies bringing the benefits of electrified transportation residents living in multi-family housing and in DACs; and 3) Ensure that the large number of commuters heading intra-County or to Los Angeles and Santa Barbara Counties are increasingly choosing electric mobility options. The Fellow will work with staff from both agencies to draft a regional EV-ready blueprint that will identify specific projects to develop EV infrastructure and accelerate transportation electrification at the local and regional levels, with a holistic and forward-looking view of transportation planning. The Fellow will also help identify compile key data, build stakeholder relationships, develop local case studies, and identify and describe future EV-related projects. The ideal Fellow will have strong communication skills (both written and verbal) and be able to work in a group setting as well as independently. Desirable traits include: 1) Interest in alternative transportation planning as it relates to electric vehicles and associated infrastructure; 2) Interest in community engagement, especially with disadvantaged communities and; 3) Initiative and ability to problem solve. The City of Guadalupe has been operating at a fiscal deficiency for some years and will continue into the future. This City has little internal capacity even to manage its revenue obligations. The goal is the create a resilience plan to give the City a roadmap for their future, with strong community involvement, input. This will be done with the Fellow driving the process forward at the community level. Additionally, the Fellow will be the lead on the LeRoy Park and Community Center (Facility) rehabilitation project. This will include ensuring the facility incorporates all the green feature presently in the plans: micro-grid, bioswale, gray water catchment. Working directly will RCDCC the Fellow will work on all aspects for the project from final plans/engineering, to construction bid package, to seal bid process, to construction supervision, managing federal overlays required under the CDBG program. Finally, the Fellow will support the implementation of the plan by working with RCDCC in the incorporation of a nonprofit, should the community input determine this is needed, whose role will be to increase the community’s capacity, knowing the City will be unable to do so, by being the primary vehicle of implementation plan. The Fellow will create a data base of resources for the nonprofit and the city to help implement individual goals and objective with in the final, approved plan. The Fellow will work on three capacity weaknesses within the city of Guadalupe with the primary vehicle being support for the City’s resilience planning process. Firstly, the Fellow will be the lead, the local face of, the resilience planning process, building community support for the process and organizing a list of stakeholders and community members (create a data base), and developing the communication tools (Facebook, website) needed for the planning process and future community actions. This task would include, for example, developing the infrastructure that is critically needed within City’s government to communicate with the primary Spanish speaking community members. Secondly, the Fellow will work with RCDCC staff in building the capacity of a new community and economic development nonprofit that will serve the community of Guadalupe with its primary mission being to implement the resilience plan once approved by the council. This could include recruiting board members, volunteers, and funding support. And finally, in conjunction with RCDCC, the new nonprofit, the city government, the Fellow will develop resources for the goals and objectives of the final resilience plan. This will include an extensive data base of potential funding sources, key state and federal agencies that could support the implementation of the plans goals and objectives, and local, statewide and national service organizations that could support the future regeneration of the City. Finally, the Fellow will create tools as part of the work on the LeRoy park and community center rehabilitation project so that the City/nonprofit have tasks process developed for future projects. The Fellow must be bilingual, Spanish/English. The community is rural farmworker community that generally does not feel like the local government hears their needs. Additionally, 40% of the community has less that an 8th grade education. Therefore, being culturally proficient with the farmworker community will be essential. Secondly, ability to be a community advocate, organizer. A significant part of the tasks of the Fellow will be working with all segments of the community, organizing multiple stakeholder and community meeting. And using multiple methods (website, networks, Facebook) to reach the greatest number of community members as possible. Additionally, a large amount of work will require research. From funding and resources available, to climate change issues within the Coastal area where Guadalupe is located, to GIS mapping of community assets and impediments. Finally, the facility rehab project will require some engineering/planning knowledge and a willingness to learn/understand federal funding requirements, for example prevailing wage, NEPA, and procurement. The City of Oxnard, Planning Division is currently being assisted by Rincon Consultants to undertake the comprehensive update of the Local Coastal Plan (LCP). The CivicSpark Fellowship will coincide with the completion of the final draft of the Sea Level Rise Vulnerability Assessment and Fiscal Impact and Sea Level Rise Adaptation Strategy Reports. Review of the final drafts of the Sea Level Rise Vulnerability Assessment and Fiscal Impact and Sea Level Rise Adaptation Strategy Reports will update the Fellow on the work completed to date and provide background information which will be necessary for the development of the Implementation Plan (Coastal Zoning Ordinance) and subsequent tasks. Based on the results of the assessments, the Fellow will work with City staff and project consultant to coordinate public outreach meetings. Additionally, the Fellow will engage in research regarding potential sea level rise adaptation strategies, assist in developing and updating policies to the Lad Use Plan, and Implementation Plan. Staff is currently working on a revised public outreach plan that will potentially increase the number of public meetings to engage the public and stakeholders in the LCP update process. The Fellow will have an opportunity to assist in the development of a public outreach plan, provide technical assistance in analyzing the results of the assessment reports, and provide input in the content used in the public presentations. The Fellow, in the role of a planner, will gather and respond to comments from the public, other agencies, and various organizations. The City’s principal planner is the project manager for the LCP and would supervise and mentor the Fellow in coastal land use planning, public engagement, and interfacing with outside agencies through the LCP’s Technical Advisory Committee (TAC). Additionally, the principal planner will provide mentorship to the Fellow in analyzing and preparing coastal land use policies and regulations. The Fellow will also have an opportunity to interface with the technical support team assisting the City in the assessment and preparation of seal level rise policies. The Fellow will also gather and summarize information from examples of local and state-wide adaptation strategies, land use policies and implementation regulations. The Fellow will provide recommendations on which strategies, policies and regulations are best suited to the specific conditions, development patterns, and resources of the City’s coastal zone. The Fellow will be able to participate in the anticipated public workshops with the City’s decision makers. The ideal Fellow will possess a strong ability to synthesize and summarize complex information for the public and decision makers. The City of Oxnard seeks a fellow who is skilled in research methods, public engagement, and the design of graphically rich work-products. The Fellow should have good communication and interpersonal skills, as the Fellow will participate in regional efforts to ensure that the City’s Local Coastal Plan is consistent with other plans as much as it is feasible. The Fellow is also anticipated to provide assistance to facilitate public workshops and prepare and revise the regulatory amendments based on decision-maker input. In 2015, the County of Santa Barbara‘s Board of Supervisors adopted an Energy and Climate Action Plan, which sets a target and outlines strategies to reduce GHG emissions from County operations and communitywide to 15% below 2007 levels by 2020. The Fellow will be housed in the County’s Sustainability Division (part of the Community Services Department) and will work with the County’s Sustainability Committee to implement GHG reduction activities for County operations in line with the Energy and Climate Action Plan. Anticipated areas of focus for 2018-19 include: water conservation (and therefore energy and GHG reductions) for County parks and encouraging greener commute options for employees. The Fellow may also support community-facing programs to help residents and businesses save energy and money while lowering their carbon footprint, but the focus is on greening the County’s operations. The Fellow will work on at least two discrete projects that support one or more beneficiaries during his/her service terms. Potential projects and expected outcomes may include: County Parks Water Management Plan, County Employee Green Commute Program, and Community Energy Efficiency. The ideal Fellow would have excellent interpersonal skills. The Fellow will need to work with professionals across the County organization, as well as with outside entities, to help improve the environmental sustainability of County operations. This will require someone that is comfortable engaging with experts across multiple fields, being persistent and firm in requests for information, and possess sufficient analytical ability (with support from County staff) to evaluate information received from others and incorporate it into implementable plans and programs. The Fellow should also be comfortable asking for and receiving help. The ideal Fellow would also have an interest in water conservation and water quality concepts. The Fellow will be the overall project manager for the creation of a County Parks Water Management Plan. S/he should have some basic understanding of and exposure to water resource concepts, interest in and aptitude for conducting secondary research on water conservation and water quality strategies and how they relate to climate change and environmental health, and the ability integrate best practices into a comprehensive plan for the County’s park system. Nestled on the Pacific Coast, Ventura County offers a spectacular natural setting and was recently rated by the U.S. Department of Agriculture as the most desirable place to live in the nation. The County Planning Division is currently engaged in a comprehensive General Plan Update (GPU), planning for the unincorporated County through 2040. A General Plan represents the community’s view of its future and expresses the community’s development goals. The GPU will include six state-mandated elements (Land Use, Transportation, Conservation, Noise, Open Space and Safety), new elements for Agriculture, Water and Economic Development, as well as a Climate Action Plan, (including climate change/sustainability policies), and the development and integration of health and environmental justice goals, policies, and programs. The Fellow will assist in research and developing cross-cutting climate change, renewable energy and sustainability goals, policies and implementation programs. Additionally, the Fellow will focus on how such policies and programs can reduce health risks and impacts both countywide and in disadvantaged communities. The Fellow will also assist with several key meetings, workshops and hearings to secure input on the draft goals, policies, and implementation programs and will summarize and analyze results from these events for decision-makers and the public. The Fellow will also help develop strategies for updating the county’s zoning ordinance, including sea level rise adaptation and other long-range planning projects related to climate change, to ensure its continued consistency with the General Plan. The Fellow will work with the Technical Advisory Committee (TAC) which is comprised of County Directors, Deputy Directors or Senior Management staff who manage agencies, departments or programs and implement policies addressed by the General Plan. The TAC includes the following departments and agencies: Fire Protection District, Agricultural Commissioner, Ventura County Library, County Executive Office, Harbor Department, Sheriff’s Department, Department of Airports, RMA Planning and Environmental Health Divisions, General Services Agency, Health Care Agency, Air Pollution Control District, Public Works Agency – Water and Sanitation, Engineering Services, Transportation Division, and Watershed Protection District. The Fellow will be responsible for researching the relationship of climate-based goals, policies and programs with the various TAC departments/agencies to identify opportunities that will assist in achieving their operational goals and mission. The Fellow may be required to prepare memorandums, reports and/or presentations to provide to TAC members. This effort will result in ground-truthing of proposed GPU goals/policies/programs, foster a deeper understanding of the role and nexus between General Plan climate policies and county programs, services and operations, and increase the likely success of climate-based implementation programs in the General Plan through 2040. The ideal Fellow would possess a strong ability to synthesize and summarize technical information for the public and decision-makers. The County seeks a Fellow who is skilled in research methods, writing, powerpoint/presentations, and a willingness to assist with public outreach. Additionally, experience and/or knowledge in the areas environmental justice/equity and health are are desired to assist in the development of climate policies that reduce health impacts and address disadvantaged communities. The project’s community engagement campaign is bilingual (English/Spanish) and ability to speak Spanish is a plus. The San Luis Obispo County Energy Watch Partnership has several energy efficiency initiatives planned for 2018-2019 that will benefit the several special districts in the county, as well as their businesses and residents. These initiatives include: conducting energy benchmarking analysis for 10-12 special districts in the county; planning and coordinating outreach events; creating content for a quarterly local government agency energy newsletter; and coordinating quarterly local government agency regional energy meetings. The primary initiative is support of the SLO Green Challenge website, which includes outreach support, marketing, data management, and climate communication. Fellows will also be supporting recent grant funded projects, including the Zero Net Energy Neighborhood study and the SLO Green Business program. The County intends to incorporate the Fellows into the fabric of these climate focused initiatives. Some local partners are focused on climate action planning and implementation. For example, the City of San Luis Obispo is in the process of updating its climate action plan and has requested that a Fellow provide support for the GHG inventory, background research, policy development, outreach, and document development tasks that support the update. Depending on timing, the Fellow’s scope may include monitoring and reporting tasks. Fellows should be ready to enter California’s sustainability focused workforce. Fellows will launch the high performing SLO Green Challenge program; support the San Luis Obispo City adopted climate action plan, including updated greenhouse gas inventory, forecast, and target, as well as contributions to monitoring and reporting; learn about distributed energy resources and their contribution to California’s climate goals; work on 10-12 energy baseline/benchmark reports; 10-12 energy update presentations to special districts in the county; quarterly energy newsletters; and organization of quarterly energy efficiency stakeholder group meetings. The ideal Fellows would have awareness of state climate change and energy policy framework, with a willingness to research and keep appraised of this highly dynamic landscape, comfort working in a dynamic, constantly shifting topic, graphic design, content management, and data visualization skills, advanced Excel skills, energy data analysis skills (EnergyStar Portfolio Manager experience a plus), ability to interpret and report complex data in an effective and efficient manner to a wide variety of audiences, ability to conduct effective and targeted research and write clear and concise summaries, meeting coordination and organization skills, event planning and coordination skills. The City of Goleta is located in southern California on the south coast of Santa Barbara County, approximately 100 miles northwest of Los Angeles and ten miles west of the City of Santa Barbara. Incorporated in 2002 and home to 30,000 residents, the City of Goleta stretches approximately 8 square miles along a narrow coastal plain between the Santa Ynez Mountains and the Pacific Ocean. The City has adopted a 100% Renewable Energy goal for electricity supply for its municipal facilities and the community by 2030 and has achieved a 3-STAR certification through the STAR Communities Program. The Fellow will contribute to projects within the Sustainability Program of the Planning; Environmental Review Department to help the City address climate and community resilience goals, including: 1). Development of a 100% Renewable Energy Work Plan, and 2) STAR Communities post-certification implementation activities to support development of the City’s first Sustainability Plan. The Fellow will conduct research to evaluate opportunities for meeting the 100% Renewable Energy Goals, including participation in supporting programs such as SolSmart and development of a framework for a Zero Net Energy Roadmap; conduct public outreach, and track key sustainability indicators to measure progress as a designated 3-STAR Community. Additional specific tasks related to the Sustainability Plan will be identified following a public workshop in June. The Fellow may also lead the City’s Green Business Program re-certification effort. With regard to the 100% Renewable Energy Work Plan, it is likely that Goleta will need to pursue a mix of options to reach its goals. The Fellow will build capacity within the Planning; Environmental Review’s Sustainability Program by helping the City achieve designation as a Solsmart Community through the National Renewable Energy Laboratory’s Solsmart Program. This activity will seek to make solar more affordable and accessible for homes and businesses, and include identifying and reducing zoning obstacles to solar. This activity will also build capacity within the City’s Public Information Office by engaging with community members to encourage solar development as appropriate. The ideal Fellow will have excellent interpersonal skills and be comfortable interacting and collaborating with city staff from many different departments, as well as members of the public. Curiosity, strong analytical and written communication skills are key. The Fellow should also be comfortable taking initiative, conducting self-directed research and possess a high attention to detail to perform data collection and project management. Citizens For Responsible Oil and Gas (CFROG) was founded in 2013 by community volunteers who saw the need for a watch-dog organization to ensure oil and gas projects in Ventura County are properly reviewed, permitted and monitored according to all applicable laws. They defend communities and wild places from the impacts of oil and gas extraction. They focus on public health, environmental justice, watersheds, air sheds, and the ocean – all as connected priorities. Now in 2018 they are a non-profit 501c3 organization with hundreds of members, and a record of success. Ventura County is the third largest oil producing county in California. There are many critical data gaps that must be filled to develop and understand environmental safeguards necessary to combat climate change. To that end, CFROG was just awarded $496,000 for a CARB community air grant to develop citizen scientists, and fill data gaps regarding air quality and sources of air pollution in the County. They are also deeply involved in the update of Ventura County’s General Plan, the land use “constitution” for the county. To this end, research is required to support the development of strong climate protections in both the General Plan, and the Climate Action Plan which the County is currently writing. The Fellow will be a prime partner on CFROG’s air grant to support the implementation of AB617, and analyze research data regarding climate change and its effects in Ventura County, including data related to the eventual decarbonization of Ventura County. The Fellow will be working on the CARB grant which includes building capacity within the Ventura County Air Pollution Control District (APCD) by increasing community involvement in improving local air quality in order to create a commensurate improvement in human health. The Fellow will also conduct research on climate change which will directly affect Ventura County’s drafting of the General Plan Update. The ideal Fellow would be a self-starter with strong project management skills, the ability to research and analyze climate change data in a way that communicates through written materials and oral communication to the general public. Bilingual would be a plus. The Eastern Municipal Water District (EMWD) is the water, wastewater service and recycled water provider to approximately 804,000 people living and working within a 555-square mile service area in western Riverside County. It is California’s sixth-largest retail water agency and its mission is “to deliver value to our customers and the communities we serve by providing safe, reliable, economical and environmentally sustainable water, wastewater and recycled water services.” The Fellow will support EMWD’s efforts to engage various stakeholders in discussions regarding local water challenges and opportunities to partner on or support solutions. Fellows will coordinate and participate in all aspects of outreach and education, including research, documentation, event/meeting support, writing, proofing, obtaining feedback, developing educational materials, speaking to various audience, and making recommendations to EMWD. The Fellow will be implementing the Latino Outreach Plan, by reaching out to leaders of the Latino community, identifying, and participating in Latino water education opportunities of mutual interest. The Fellow will develop at least one structured program for a key Latino organization resulting in increased engagement with EMWD from their constituents. The Fellow will also develop and implement a public engagement plan for targeted audiences, including Youth Ecology Corps interns, environmental organizations, and the general public. Coordinate the development of educational approaches/tools, (such as portable, mobile, technological, electronic displays) resulting in increased public engagement, understanding, and support of local water challenges and solutions. The ideal Fellow must have a command of written and spoken Spanish/English languages and will assist in Spanish translation, editing, outreach, tracking, feedback, etc. The Santa Ana Watershed Project Authority (SAWPA) is home to the Integrated Regional Water Management (IRWM) planning effort in an area with more than six million residents across four counties. As one of the state’s leading regional water agencies, SAWPA works with water experts, planners, design and construction engineers, legislators, community members, and other government agencies to ensure all communities have sustainable water resources, to support cost efficiency, and to improve water quality and water resource integration. Fellows will be working directly on IRWM efforts–or the “One Water One Watershed” planning approach–with local government and water agency members, as well as the people in underrepresented and overburdened communities in areas in Riverside, Orange, and San Bernardino counties. The California Department of Water Resources in 2017 awarded SAWPA $6.3 million for a three-year program to engage with the people in disadvantaged and underrepresented communities to include their voices in water management planning. The 1.7 million Santa Ana River Watershed residents that the Disadvantaged Communities Involvement (DCI) Program includes have diverse economic and environmental burdens, and the program requires ongoing, proactive engagement strategies that help build partnerships and involve stakeholders in overcoming environmental injustices. Fellows will work on the Strength and Needs Assessment and the Community Engagement and Education elements of the DCI Program by identifying community leaders and effective agency programs and by leading a cohort of interns from California State University and community college campuses. With supervision, Fellows will outreach and start new relationships between SAWPA and interested stakeholders, and they will work with the CSU to support interns with training on IRWM topics, cohort coordination, and mentorship. They will also assist with other specific program elements, such as the completion of community listening workshops and a community water ethnography report on the cultural, social, and water-related strengths and needs of watershed communities. The ideal Fellows will have strong interpersonal skills, including listening, verbal communication, team-working, and problem-solving. SAWPA’s goal is to engage with and include people in water management from a diverse range of communities and backgrounds, and this will be achieved through proactive outreach and in-person meetings and workshops throughout the year. The Fellows will lead a cohort of students from colleges in the watershed and be responsible for assisting SAWPA in meeting the deliverables in the DCI Program. The ability to set and meet deadlines, create and vet the internship training agenda, and to work independently are necessary. Previous leadership experience or experience working with other students or peers is preferred, as Fellows may often need to plan their own schedules and keep track of ongoing projects running parallel to other work as part of the DCI Program. Culver City is a charter city located in the heart of West Los Angeles. Comprised of approximately 5 square miles, the city is bisected by Ballona Creek – a channelized waterway – approximately 9 miles in length that drains 130 square miles of the Los Angeles Basin. Previously a natural stream, Ballona Creek was reconfigured in the 1940’s into a concrete lined flood control to reduce flooding in the area. In November 2016, the Culver City City Council adopted a Strategic Plan to respond to Culver City’s changing environment – with a primary goal to enhance the restoration and utilization of Ballona Creek and make it a more sustainable, walkable, bikeable and connected recreational attraction. The objective of the Ballona Creek Revitalization Project is to explore opportunities to reconfigure and potentially “naturalize” the Creek, or portions of the Creek, to support storm water management and habitat enhancement, and increase open space and landscaped areas that will further connect Culver City to itself and other areas including the Santa Monica Bay, surrounding communities, and connecting to the Metro line. The Ballona Creek Revitalization Project offers Fellows the opportunity to work closely with both city government officials and community stakeholders as an integral staff member in the Community Development Department. Fellows will be key contributors to the Ballona Creek Task Force, assist with General Plan Update strategy relative to Water and Recreational elements, develop an Adopt a Creek program, and assist with implementation of enhanced watershed management programs in coordination with city staff. The City of Culver City seeks Fellows with a variety of skills to assist with the Ballona Creek Revitalization Project. Anticipated tasks include developing community outreach strategies, surveys and evaluations and conducting in-depth research, analyzing data, summarizing findings via mapping, graphic illustration and memorandum. Desired skills include strong communication and writing, knowledge of research, evaluation methods, design/graphic development in Illustrator or similar program and creativity to assist with the General Plan visioning process. Long Beach is a densely-populated city where almost half of residents live in multi-family buildings (i.e. apartments and condominiums). The Long Beach Water Department (LBWD) seeks to develop a new program to promote multi-family building water and gas efficiency specifically in disadvantaged communities by providing for the direct installation of efficient devices such as shower-heads, faucet aerators, clothes washers, and toilets. The Fellow’s role with the Water and Energy Efficiency will be to assist in launching the new program by researching industry best practices, developing a program strategy, executing the program implementation logistics, compiling and analyzing data to evaluate water and gas savings, and working with other utility partners to investigate how to expand the program for the future. The project will involve a significant amount of in-person communication with building owners, property managers, and/or business owners regarding water efficiency. Therefore, the ideal Fellow will have strong interpersonal skills as well as an understanding of or interest in water-efficiency. Education or experience in working with disadvantaged community programs, public outreach, marketing, data analysis, and landscaping are a plus. The Fellow must be self-motivated, organized, creative, and able to work effectively both independently and within a group. The Long Beach Water Department is launching a new Lawn Irrigation Efficiency Program to encourage water-efficiency in turf lawns. The Fellow’s role with the Lawn Irrigation Efficiency Program will be multifaceted, developing marketing campaigns to recruit businesses to the program, working face-to-face with business owners to help them better understand their water use and water savings opportunities, and identifying and implementing changes to improve a newly launched program. The Fellow will also be engaged in developing program materials, a resource toolkit, and additional classes and promotional materials. Community Corporation (Community Corp) is a nonprofit affordable housing owner and operator in the City of Santa Monica. Community Corporation was founded in 1982 by community stakeholders with the goal of addressing gentrification and equity in the City of Santa Monica. As the largest such provider with close to 100 buildings in the City, they partner closely with the City to meet their overall goals both in terms of affordable housing and sustainability. They have partnered on several occasions with the City to be a host for pilot sustainability programs. They seek to deepen their partnership with the City with the CivicSpark Fellowship. They see numerous opportunities for scalable projects that would be applicable to other city programs as well as learning opportunities for other nonprofit affordable housing providers. One of Community Corp’s core principles is sustainability, and they see tremendous opportunity to affect the built environment due to their large and concentrated portfolio of buildings. They are a City of Santa Monica Green Certified Business and have won numerous awards for our sustainability efforts. The Fellow will have an opportunity to create long-lasting policies and programs that will improve the wellness of residents and health of our buildings, and create future environmental stewards in the low-income resident community. The Fellow will work directly on research and implementation of eliminating toxins from buildings and operations, creating a gardening program to provide fresh food access and encourage organic nutrition, engage residents in finding new ways for implementing sustainability strategies within their own residences, and help them design new innovative affordable housing. In addition, the Fellow will interact with the City to implement several potential sustainability pilots within their portfolio. The Fellow would take ownership of these projects but receive support and encouragement from the Community Corporation team. The Fellow will work directly with the Executive Director, as well as key staff members, residents, and external stakeholders from the City of Santa Monica and nonprofit partners. The Fellow will have a unique opportunity to take ownership of impactful projects in a supported environment. The skills that are desired for this position are: Initiative, the ability to take a project from start to finish, to create a framework and workplan, and to implement it. The Fellow should be prepared to see a vision and goal and problem-solve around any challenges to get to the ultimate result. This will involve collaborating with multiple people, assessing the best strategies after hearing different perspectives, sticking to timeframes and taking ownership. Additional desirable skills include Innovation and creativity, this fellowship would not be about “business as usual” or “doing it the way others do it.” This is about creating new frameworks and will involve listening, talking to multiple people, researching, looking at best practices, but crafting policies and programs that are new and unique to Community Corp. The City of Colton is seeking Multimodal Transportation assistance to develop a complete Electric Vehicle (EV) strategic plan that would provide some of the following key opportunities for the Fellow to develop; EV charging pricing strategies, parking code amendments and adoption, ordinance updates and amendments and assistance with an over EV Plan which would include the following: community engagement, review and assessment of program, and provide updated EV program opportunities. Such a Plan would provide a roadmap for EV expansion for the City of Colton reducing emissions in the City and providing a cleaner environment for the city. Ultimately this plan would meet the goals in the City’s adopted Climate Action Plan. Completion of an EV plan would include outreach to the community with community workshops to define a plan for; rebates and Low Carbon Fuel Standard expenditures; an EV fast charging rate and an electric vehicle program plan specific to low-income residents; and an EV charger expansion plan throughout the City. Such a placement would also provide a valuable fellowship experience, including community and public sector engagement skills, as well as critical thinking skills, by allowing them to work with city staff to develop a program, engage stakeholders, and take the resulting plan City Council for adoption into a resolution. Once adopted the Fellow may have the opportunity to develop a marketing plan to share the plan with the community. Overall a Fellow with the City of Colton provides an opportunity to make a meaningful contribution to a critical community need while offering a positive learning experience for an emerging professional. The ideal Fellow would be outgoing, self motivated, positive, sensitive to working in a diverse community, customer service centric not just to the community but to colleagues as well, organized, bilingual a plus but not required, have excellent writing abilities to develop a strategic plan, familiar with the process of adopting and updating city ordinances, computer savvy for use of presentation applications, Microsoft office efficient, have an in depth understanding of Electric Vehicles and Electric Vehicle infrastructure, able to research independently yet seek assistance when necessary. A degree in Environmental Science, Environmental Policy, or the like would be appropriate to complete the project. The South Bay Cities Council of Governments (SBCCOG) is a joint powers authority of 16 cities and the Los Angeles County that share the goal of maximizing the quality of life and productivity of the South Bay region. The SBCCOG has recently completed 15 Climate Action Plans (CAP), one for each its cities, as well as a Subregional CAP, which lacks an Adaptation Chapter. The Fellow will assist the SBCCOG in preparing a Subregional Adaptation Chapter Framework that will be used for the Subregional CAP as well as being presented to each city for its adoption into their individual CAP. The Fellow will research existing strategies, programs, and policies such as city disaster mitigation plans; review existing research on vulnerable communities such as homeless and senior populations; and gather information from studies on geographic at-risk communities such as those vulnerable to sea level rise. The Fellow will also work with city staff to share research results and obtain an understanding of which strategies, programs, and policies best meet the needs of the cities as well as the subregion. Building on the existing CAP work, the Fellow will also assess co-benefits to the adopted CAP strategies. To support this understanding, the Fellow will track state and federal policy developments including participating in relevant webinars, meetings, and workshops. The second part of the project addresses two key vulnerable or at-risk communities in the South Bay: homeless and seniors. The SBCCOG has been working with member cities and community groups to address issues impacting the South Bay through the Services for Seniors Working Group and the Homeless Services Taskforce. The Fellow would be assigned to coordinate with these groups to identify related climate adaptation impacts to include in the Climate Adaptation Chapter Framework. The ideal Fellow will have strong communication (speaking, writing, and listening) and computer skills. The Fellow will be processing data using excel and describing research that requires the need for information to be collected and presented clearly and in a concise manner. As the Fellow will be interacting with city staff and other agencies, it is critical that communications skills include listening to help ensure that information obtained from others is accurately interpreted and correctly included as part of the work products.The SBCCOG is a fast-paced environment requiring the ability to quickly learn new systems and retain new information as well as apply gained knowledge. The Southern California Association of Governments (SCAG) is the regional planning agency for Southern California, and SCAG’s Sustainability Department helps local cities plan and implement sustainability strategies and projects, as well as adaptation plans. For the 2018-19 service year, SCAG is hosting three Fellows. Over the past three years, previous CivicSpark Fellows helped create SCAG’s Green Region Indicators database, which tracks 10 sustainability areas (such as energy, water, urban forests, etc) throughout the region. Two Fellows will help in data collection, putting on workshops, and use the Green Region Indicators to work with approximately 6 cities that want to implement specific sustainability programs from the Indicators project, such as EV deployment or urban tree planting. SCAG is initiating a state funded region-wide adaptation framework involving 191 local jurisdictions. This project will be led by SCAG staff with assistance from a consulting team. One CivicSpark Fellow will assist in all aspects of creating this adaptation framework for Southern California. The ideal Fellows will have strong writing and and communication skills, as well as be able to conduct well organized research. Other desirable skills include having some GIS or StoryMap experience or interest. Clean Power Alliance (CPA) is on track to become the largest and most diverse community choice aggregator (CCA) in the state of California, serving more than three million customers via one million customer accounts across a geographic and socioeconomic diverse swath of Los Angeles and Ventura counties. CPA’s mission is rapidly decarbonize Southern California’s electricity system by offering consumers cleaner power at competitive rates while developing programs tailored to, and controlled by, local communities. CCAs to date have not had the organizational resources or capacity to create and track policies that ensure equitable distribution of those benefits. There is tremendous opportunity to create a framework to assess, measure, and track how equitably CCA programs, services, and resources are being distributed, as well as the climate benefits they create. The goal for the Fellow in this role is to create a data driven CCA Climate Equity Plan program that can be used to track CPA’s progress in addressing disparities, and help it become an equity leader for the CCA community in California. The project will consist of baselining, assessment, development of performance metrics, goal setting, and designing a tracking and reporting system, with the expectation that the system will be presented to the CPA Board for consideration as official policy and be used by CPA’s Community Advisory Committee as a public accountability tool. The anticipated outcome is to ensure more equitable distribution of the services and benefits of CCA to all of the diverse communities it serves. It is hoped that the Fellow’s work with influence how CCA’s statewide set and track their own equity goals. The ideal Fellow would enjoy working with data and be comfortable with the idea of engaging and communicating to a broad range of stakeholders. The Fellow will likely be soliciting information and feedback on assessments and proposed metrics in public forums. The Fellow should also be highly motivated by the opportunity to work in a start-up environment with a small staff. The Los Angeles County Department of Public Health (DPH), is one of the largest local health departments in the country. DPH is a full-service local health department serving the public health needs of the most populous county in the United States. With nearly 10 million residents in unincorporated areas and 88 cities, Los Angeles County’s demographic and geographic diversity, along with socio-economic and cultural factors, presents many public health challenges and opportunities related to climate change mitigation and adaptation. DPH has developed a Five Point Plan to Reduce the Health Impacts of Climate Change, which features key priority areas for addressing the negative health impacts of climate change. The first key priority area focuses on educating and engaging the public about the health impacts of climate change and the health co-benefits associated with taking action to reduce greenhouse gas emissions. Many DPH programs are well-situated to conduct this kind of messaging because they interface with populations that are particularly vulnerable to the health impacts of climate change or focus on topics with a natural intersection with climate change, such as physical activity, nutrition, and communicable diseases. However, these programs do not currently have the expertise or staff capacity to incorporate climate messaging into their programmatic activities. The Fellows will participate in a project to expand and improve DPH’s climate messaging to the public. Working with the Director of DPH’s Climate Change and Sustainability Program, Fellows will assist DPH programs in incorporating relevant and appropriate climate and health messaging into their program materials and verbal interactions with vulnerable populations. Fellows will also have opportunities to participate in direct public outreach at resource fairs, contribute to a DPH social media strategy around climate change, update the DPH climate change webpage, and identify other opportunities for climate messaging. Through this project, Fellows will have opportunities to hone messaging skills for different audiences, gain experience in working in government communications, collaborate with professionals specializing in various aspects of public health, and build subject matter expertise on the links between climate change and public health. This project is ideal for Fellows interested in the intersection between climate change and public health. The ideal Fellows will have a strong interest in the public health impacts of climate change. No public health background is necessary, but Fellows will ideally be interested in gaining an in-depth understanding of the public health field, have excellent writing skills, including the ability to write for different audiences. The Cities of Paramount and Bellflower are adjoining cities in southeast Los Angeles County. These communities have large disadvantaged communities who are greatly impacted by climate and environmental factors. Working in conjunction with the Gateway Cities Council of Governments, many of the Cities are creating their own sustainability programs and creating the framework for establishing practices that show tangible reductions in GHG emissions and create better sustainable practices. Paramount and Bellflower are in need of resources to help create a comprehensive GHG inventory and to update earlier GHG inventory efforts that were created specifically for Bellflower. The Fellow would be used to conduct GHG inventory work for the cities of Paramount and Bellflower. Paramount has recently begun a sustainability initiative and would like to develop a GHG inventory to help create benchmarks for energy efficiency improvements and to be able to track the benefit for sustainability policies that have been implemented by the City. Bellflower, which is located directly east of Paramount, conducted a GHG inventory in 2010 and would like to update the original data with a focus on determining changes in certain segments of the inventory and to create a new benchmark for future sustainability efforts and for participation in Cap and Trade programs. Both cities are also participating in the Gateway Cities Climate Action Plan and the GHG data will help our cities to optimize our participation and assist in the development of new programs. The ideal Fellow would have outstanding research and analytic skills. Experience in collecting data and producing written reports are essential and the ability to understand and interpret technical information is required. The Fellow should also have an understanding of environmental and climate related programs and also have an understanding of how climate information such as greenhouse gas emissions are used to show how a community operates and how it might make changes to reduce GHG emissions for the future. San Bernardino Council of Governments/San Bernardino County Transportation Authority (SBCOG/SBCTA) has a number of relevant research, planning, and implementation needs in climate action, built environment, transportation, or healthy communities. The Fellow will work with individual communities and across the region. Areas of need include; assessing public health benefits of Active Transportation, developing a regional housing strategic plan, supporting the update of the county’s reduction plan, supporting a bi-county climate adaptation project, research for the San Bernardino County Regional Conservation Investment Strategy, supporting expanded Safe Routes to School Implementation; and/or participating in the San Bernardino County Comprehensive Sidewalk Inventory. The above-listed projects can be tailored to fit the skills of the interested Fellow. The Fellow can support the agency through project management, research, community engagement, and program implementation in the fields of transportation, land use, and climate change. This will have the potential to influence positive change in public policy and systems. An example product that the agency would like to see at the end of the fellowship would be research for the basis/justification of the intersection between active transportation and community health. This would lead to the prioritization of built environment policy and programs for the agency. Also, should the Fellow choose to be hands-on, we can provide an opportunity to work on program implementation related to safe routes to school which requires evaluation, education, encouragement, and enforcement. The agency will provide a positive and unique learning experience for the Fellow. San Bernardino county is a region with one of the highest concentrations of disadvantaged communities in the state. The support the Fellow will provide will assist SBCOG/SBCTA in addressing equity issues as they relate to transportation, public health, and the environment through the projects identified. The ideal Fellow would be a self-starter, will need to conduct data gathering, analyze qualitative and quantitative research, provide recommendations based on research, analyze spatial data, GIS skills desirable but not necessary, and have excellent communication skills both orally and in writing. Moreno Valley has an electric utility that is 14 years old and rapidly growing to serve both corporate and residential customers. With the popularity of customer-owned solar panels in California over the past decade, the utility processed many solar installation permits. The City has discovered that the utility suffers from the now infamous Duck curve when charting solar-powered availability over a day. Analysis is needed to determine the amount of solar-generated power in their system to develop forecasting and financial impact models. The forecasting models will help the utility understand the impact that solar-generated electricity will have on each circuit within the utility so that capacity planning is effective and accurate. Financial models will help determine the actual cost shift of solar customers to non-solar customers. Results from these models will help the utility adopt strategies and priorities that balance renewable energy with energy efficiency and a host of other competing considerations. The strategies will focus on the timing and amount of energy consumption and how to balance the utility’s system given multiple sources of electrical supply to multiple circuits. The Fellow will work on data research required to determine the amount of solar-generated power in their system; the data must address analysis by home, business, power generated, and associated percentages. Statistical analysis and charting will be required to determine the effect of solar-generated power on the utility’s power demand and consumption. Forecasting will be required to create models to help the utility understand the impact that solar-generated electricity will have on each circuit within the utility so that capacity planning is effective and accurate. Financial modeling will be required to help determine the actual cost shift of solar customers to non-solar customers. Strategic thinking will be required to use statistical, forecasting, and financial models to help the utility adopt strategies and priorities that balance renewable energy with energy efficiency and a host of other competing considerations. The ideal Fellow would have quantitative skills to mine data from a utility and perform descriptive analysis on the data and creative thinking to transform analytical results into strategies and action plans. There is a confluence of issues impacting the built environment that must be addressed in a holistic manner. From energy efficiency and solar, to EV charging and seismic improvements, each of these endeavors individually are challenging to implement let alone in concert with other building systems. The City of Santa Monica’s Office of Sustainability and the Environment seeks to reduce energy use, increase local solar, EV charging and battery storage and enhance the resilience of existing buildings. The Office of Sustainability and the Environment has a nascent Climate and Energy section working on various programs related to the built environment. The Climate and Energy section would benefit from the elevated platform and network of services and partners that would be curated in this project. The city would partner with Community Corporation of Santa Monica (CCSM), a local non-profit affordable housing provider, to pilot and develop programs appropriate for under-resourced building owners. CCSM would directly benefit from potential analyses, programs or projects that are born out of this effort. The Fellow would be involved in researching and developing a program delivery model to support existing buildings in becoming more sustainable and more resilient at an unprecedented scale, necessary to meet the climate, equity and resilience goals of Santa Monica and California. The ideal Fellow would have a background in engineering and/or planning, building science, green building principles, and finance. The City of Encinitas has a newly adopted Climate Action Plan (CAP), which includes 19 very ambitious actions that the City will accomplish to reduce greenhouse gas emissions by 2020 and 2030. The City has one full-time staff member working on the CAP, and they are working hard to achieve progress on a number of specific projects. With a focus on these critical projects, very limited time is left for the more indirect, but still critical components of the Climate Action Plan, specifically public outreach and progress tracking. Climate Action Plan targets will not be able meet without the support of the community. It will be essential to have residents and businesses taking part in reducing emissions. Encinitas has active citizens that would very much like to participate in reducing greenhouse gas emissions. The CivicSpark Fellow will connect the Climate Action Plan to Encinitans, first, through direct public engagement, where the Fellow will devise an outreach program that will get residents and businesses on board with the City’s climate initiatives. Second, by publicly tracking and reporting the City’s progress toward emissions reduction, the Fellow will further engage and generate support from the public for the City’s Climate Action Plan. This two-pronged approach will create the positive feedback loop of emissions reduction that the City has been missing. The ideal Fellow will have both technical skills and people skills, and be someone who loves to dive into data and as well as who loves to strike up a conversation. Knowledge of web design and Geographic Information Systems (GIS) is a plus. The Fellow will be expected to organize and host outreach events (with staff support), speak in front of large groups, as well as establish data protocols and manage large data sets (with staff oversight). A science degree in the climate or air quality field is preferred; however degrees in social science or computer science would also be supportive of the City’s needs. The San Diego Green Building Council (SDGBC) is a 501c3 nonprofit with a focus on sustainability of the built environment. They are a San Diego Chapter of US Green Building Council and a host of Living Building Challenge Collaborative. SDGBC currently has 3 staff and about 380 local members representing architecture, construction and environmental field leadership in San Diego. They deliver on their mission through projects, partnerships, and education in our community. Starting July 2018 SDGBC is partnering with the City of San Diego and the Center for Sustainable Energy on the California Energy Commission Electric Program Investment Charge (EPIC) grant to deliver Integrated Demand-side Management and Zero Net Energy Demonstrations and Education in three San Diego libraries. The role of SDGBC is to coordinate between CSE, City of San Diego and SDGBC experts to develop outreach and educational aspect of the programming. Because San Diego Green Building Council is involved in various aspects of the City of San Diego environmental efforts, the Fellow will have an opportunity to contribute to a couple of capacity building activities in this area. Because this project will be the first attempt for Net Zero Energy retrofit in City building assets portfolio, lessons learned will be applicable and important to all departments pursuing similar initiatives in the future. The Fellow will be engaged in following key areas: Net Zero Energy buildings in climate action, private-public partnerships, capacity building, training, and outreach to community members, Public Libraries as demonstration allow us to expand the ZNE reach beyond the public-private partnership and include a community engagement component. By designing the project this way, they hope to achieve following benefits: Model ZNE case studies that can serve as a template for further ZNE efforts in San Diego, Education and increased know-how among City of San Diego employees, increased awareness and engagement from the community members in support of the climate goals. The Fellow’s role would entail research, creative aspects, coordination with stakeholders as well as gathering of data and data interpretation from the current building performance. Specifically, the Fellow would analyze past and current energy use in the following three libraries: They would then analyze all strategies implemented to achieve energy reduction to help develop educational and knowledge transfer materials. The Fellow would also work with the San Diego Green Building Council to leverage knowledge gathered during this project to influence other City of San Diego initiatives and programs that SDGBC already supports.